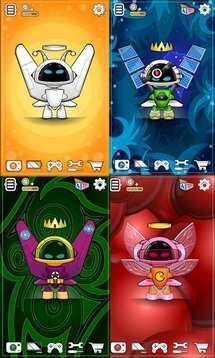 1.22 XOE - A Virtual Digital Pet. 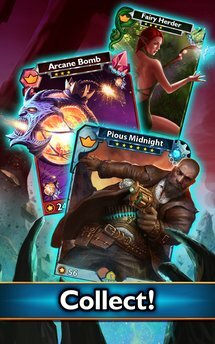 As we continue to wait... and wait... and wait for Blizzard to bring Hearthstone to Android, why not check out a game from a developer that actually wants your money? 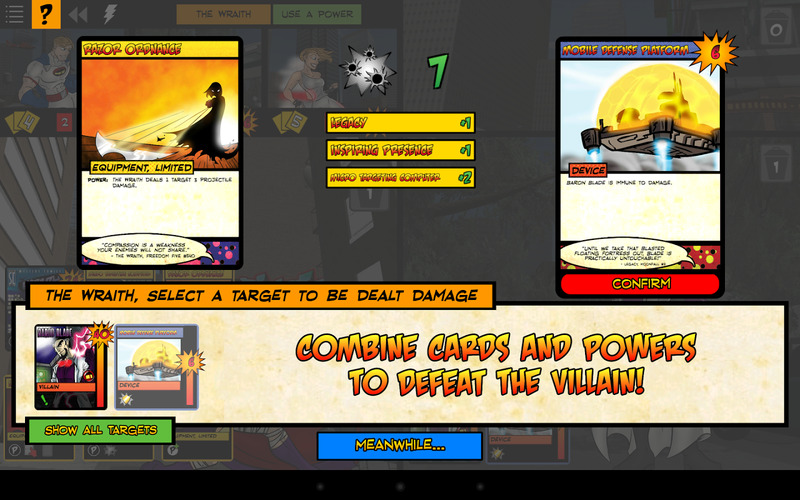 Sentinels of the Multiverse is a turn-based collectible card game set in a superhero universe (or several, I suppose). 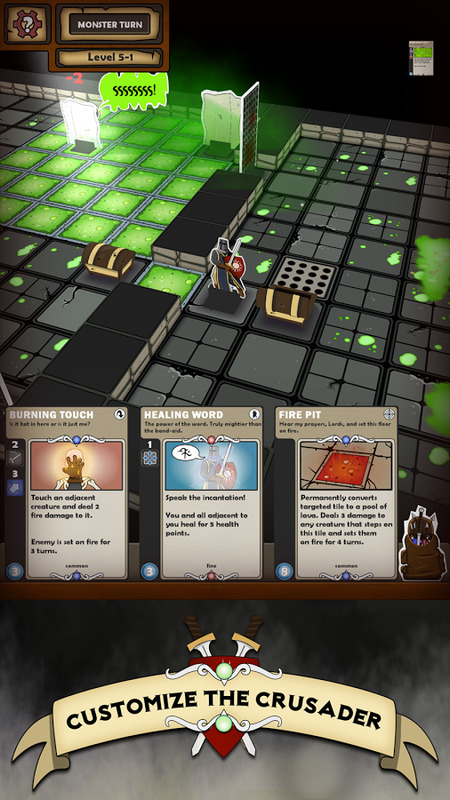 Your deck is a team of good guys and their various powers that you use to dispose of the nasty hand-drawn villains. 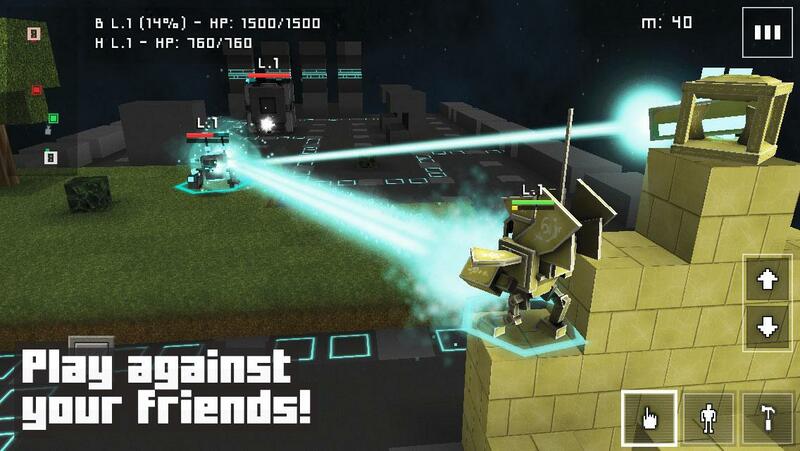 Based on a real game, this Android version includes a solo campaign and local multiplayer. It's pricey, but there are no in-app purchases. Calling all Sentinels. Do you have what it takes to defend the Multiverse? 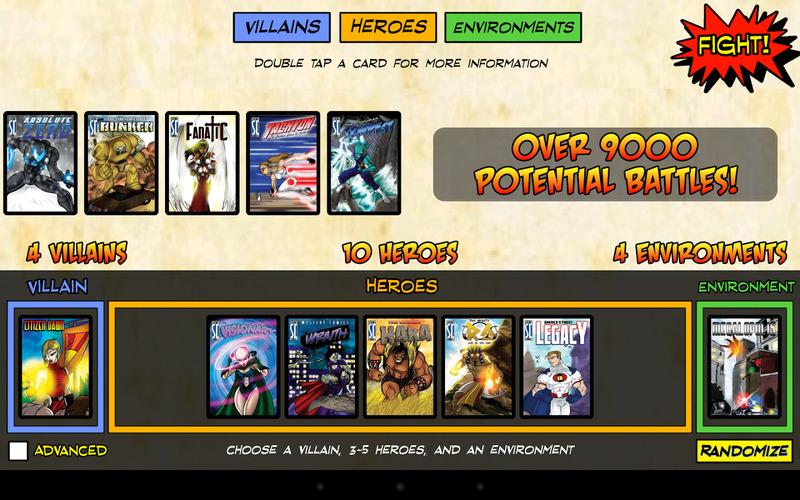 Compose a team of superheroes, each with their own playstyles, backstories, and grudges. 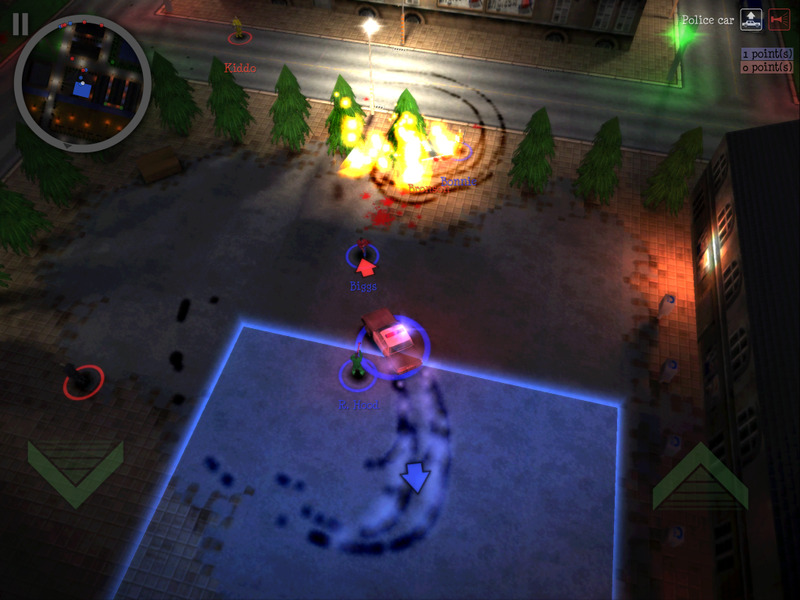 Pit them against a variety of maniacal and formidable villains. 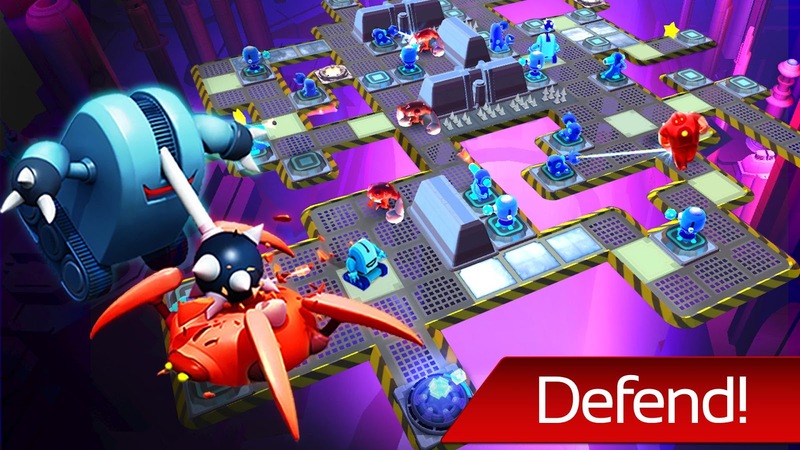 Defeat your enemies and save the Multiverse. 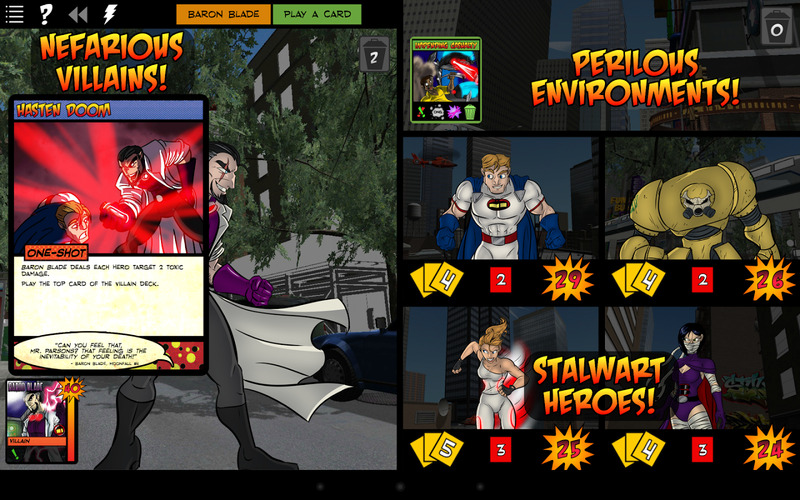 Sentinels of the Multiverse is the award-winning game in which players join forces as heroes to combat a dastardly villain in a dynamic environment. 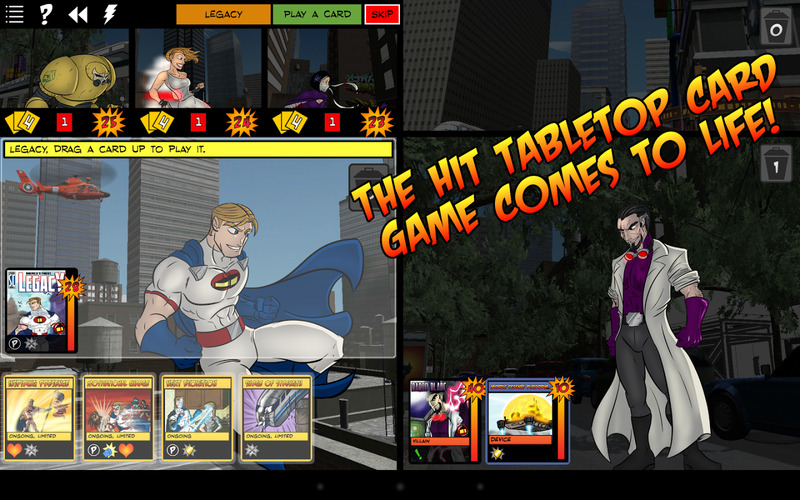 At long last, you can play a 100% faithful adaptation of Sentinels on your tablet. Amanita Design sure does know how to make some interesting-looking 2D games. 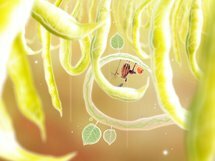 After gaining a significant following with Machinarium, the developer is back with a minimalist, charming platformer-slash-adventure game called Botanicula, which sounds vaguely like a supervillain. It stars a group of adorable plants moving through a tiny world, solving some basic puzzles. 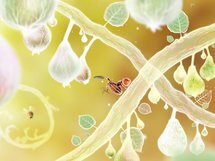 If the aesthetic in the artwork and trailer below are interesting to you, it's a safe recommendation. Hockey fans, I... I don't know anything about hockey. But 2K is the only competition to EA's NHL 14 on PC and consoles, and this mobile version is offered as a premium $8 title with no in-app purchases. That's good enough for me. 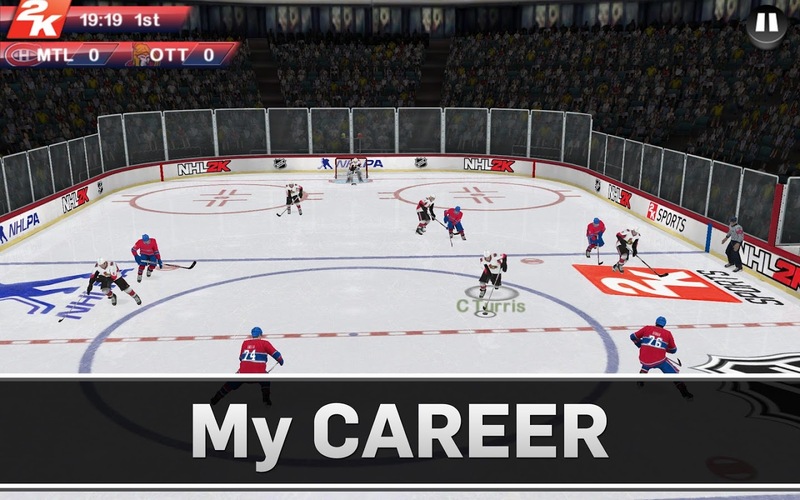 The game features conventional hockey matches, three-on-three "pick up" games, a multiplayer shootout mode, and the usual career option. Console fans take note: this one supports external controllers. 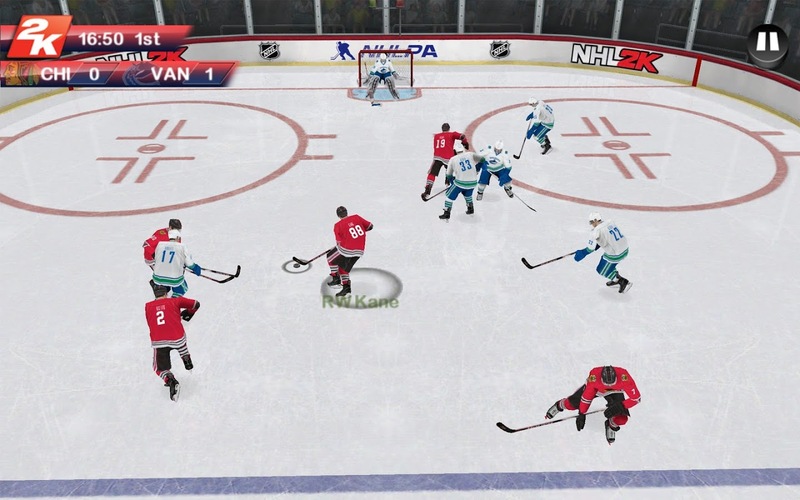 This year, NHL 2K is back and better than ever. Whet your hockey appetite with the brand-new all-star NHL experience on mobile. 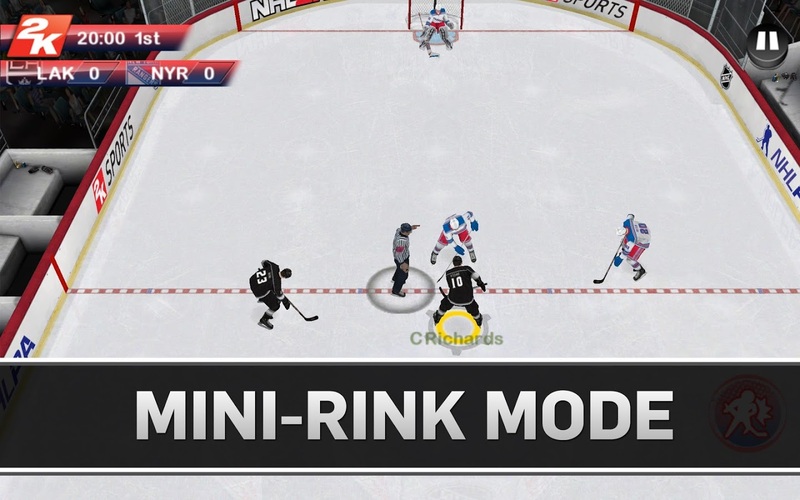 Every NHL fan will be able to enjoy exciting new game modes including a fast paced 3v3 mini rink mode, turn-based multiplayer shootouts and an immersive My Career Mode with enhanced graphics and live roster updates. 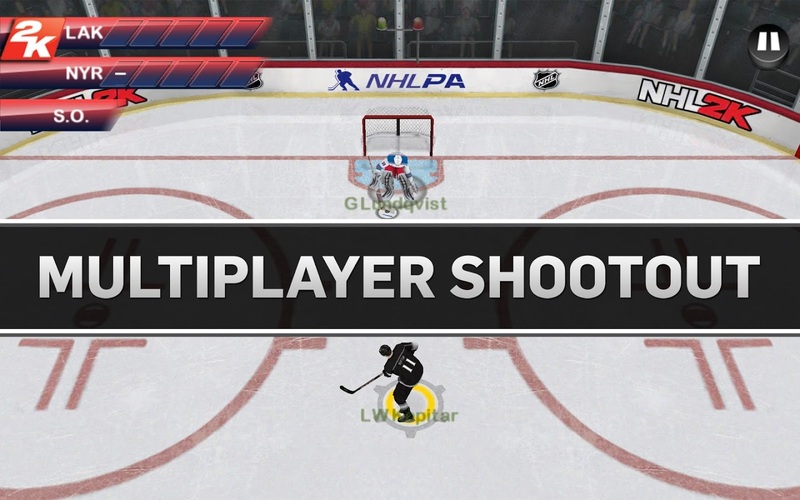 See if you have what it takes to take home the cup in NHL 2K. 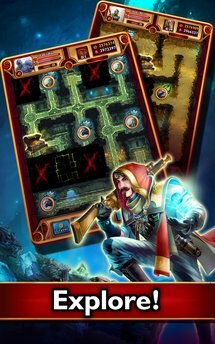 Zen Studios' pinball games are treats for fans of the admittedly narrow genre, and up until recently, South Park fans didn't have a whole lot to choose from in terms of good video games. 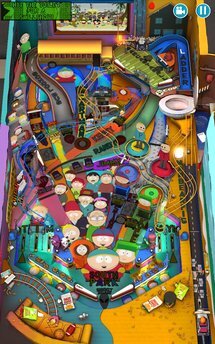 Now there's an officially-licensed South Park version of Zen Pinball HD, chocked to the gills with references, clips, and cameos from the adult cartoon. 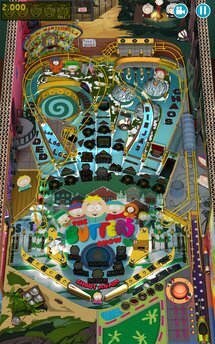 You can buy the $4 game to get both the standard table and the Butters edition, or buy them from the Zen Pinball HD game for $2 each. 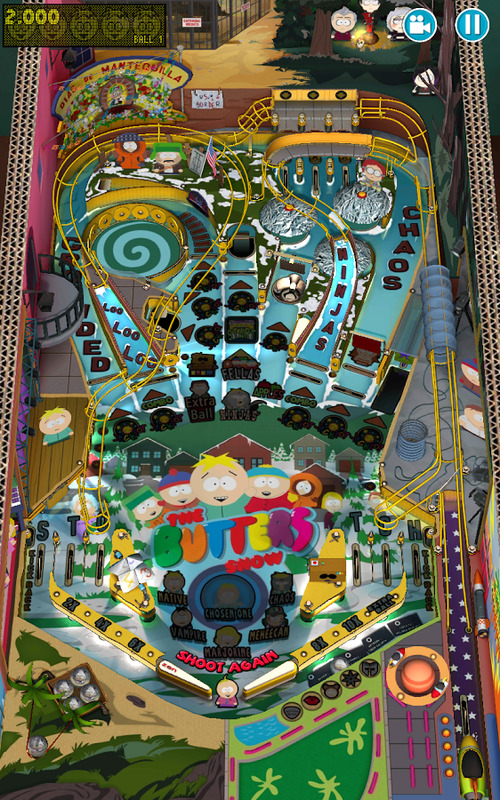 It’s South Park, pinball style. 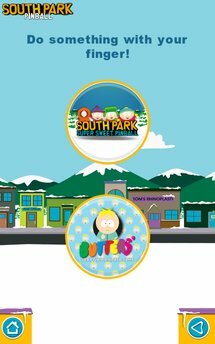 Join Stan, Kyle, Cartman, Kenny, and Butters in two pinball tables inspired by everyone’s favorite mountain town, South Park. 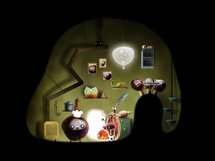 Meet characters from the TV show, like Chef, Timmy, Terrance and Phillip, Mr. Hankey, and even ManBearPig. So, come on down to South Park and see if you can’t unwind. 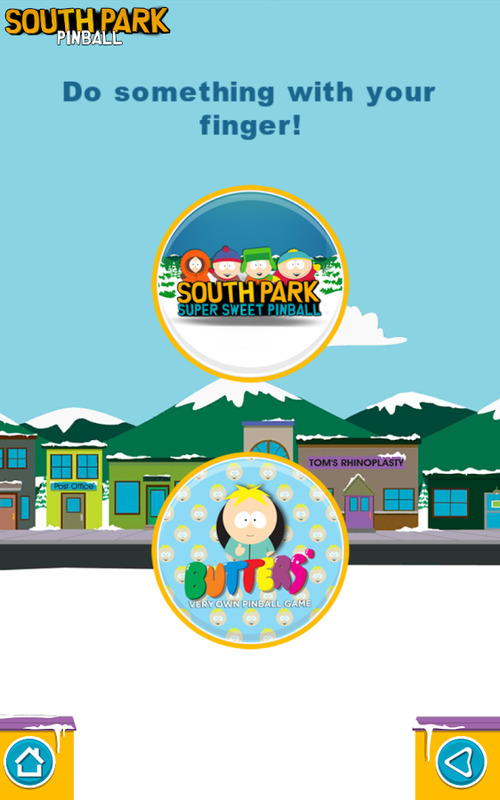 South Park: Super Sweet Pinball Dude, sweet. Team up with Cartman, Kyle, Stan and Kenny in this ultimate South Park pinball experience. 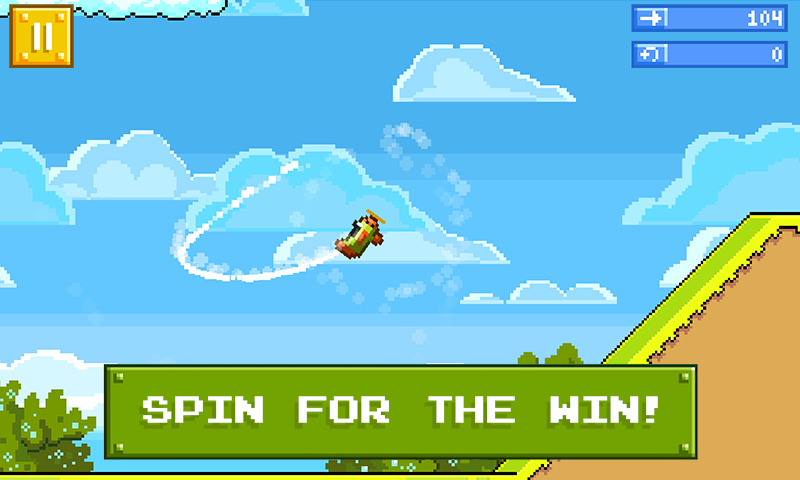 Rovio's RETRY is a Flappy Birds clone that... wait, don't skip this section so fast! 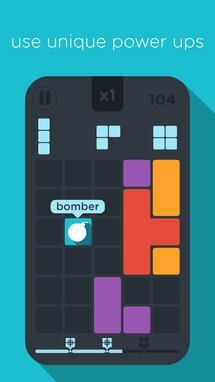 Despite its obvious inspiration, Retry is actually a decent game, or at least as decent as it can be when its core mechanic is a famously frustrating movement system. 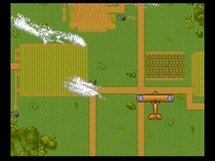 Utilizing the odd physics it's possible to "fly" your plane across the level (instead of just, well, flapping), avoiding the obstacles and landing at airstrips for a breather. Yes, it's still stupidly hard - if that's a turn-off, then feel free to skip it. 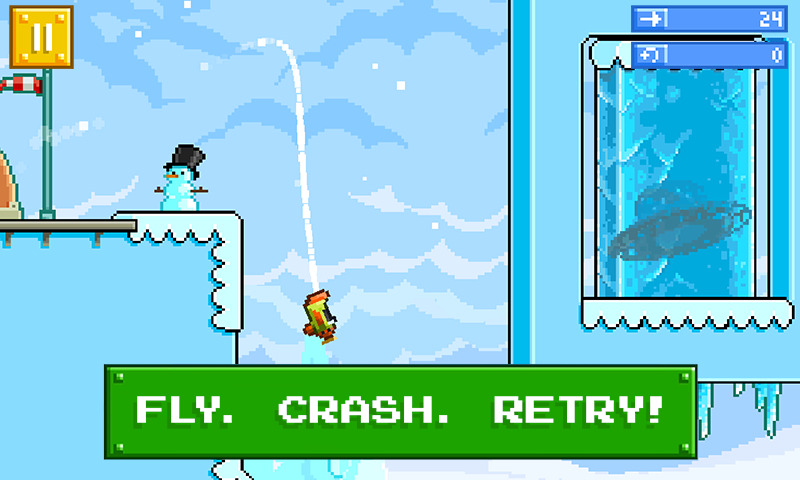 From the guys sitting in the room next to the guys who made Angry Birds, comes RETRY – a game so hard, so addictive, so old skool that you’ll think you’ve stepped into an 8-bit time machine and gone back to 1986. Totally rad. 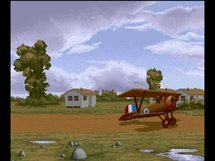 You’re in the cockpit of a smoking, loop-the-looping, out of control, 8-bit jalopy of an airplane. Grab hold of the yoke, ace. 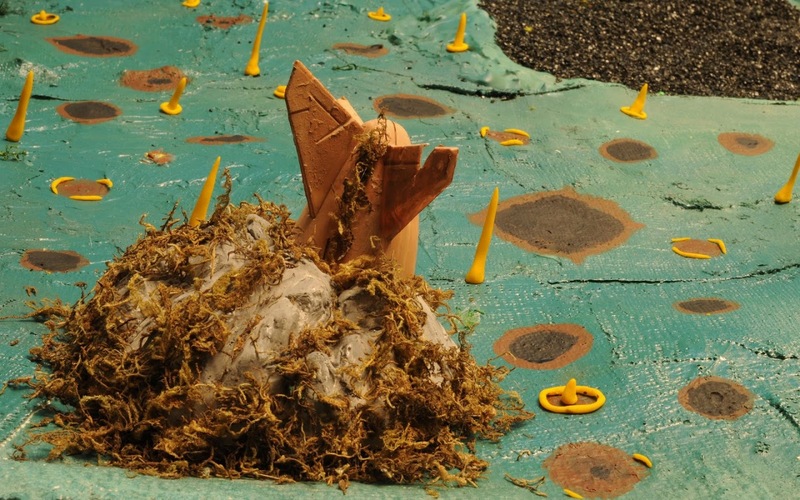 It’s going to take raw skill and white-knuckle stunts to get through this one. 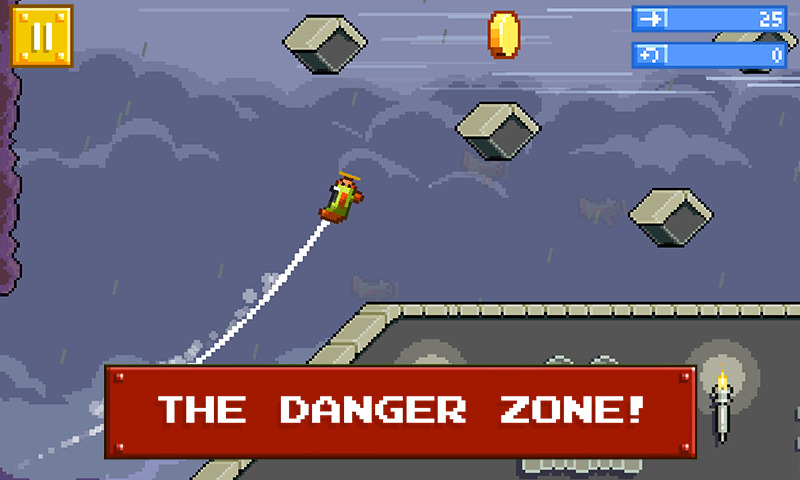 Enter the danger zone. 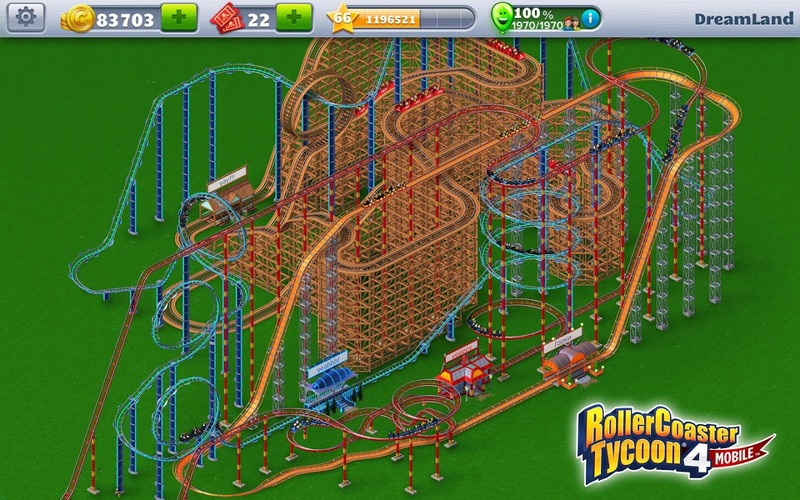 The original RollerCoaster Tycoon was a unique and innovative PC title that tasked the player with building and maintaining a theme park. 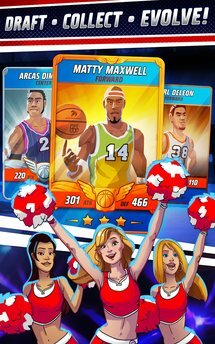 The official mobile version uses the same ideas as the first game in the series, but restructures pretty much everything around the typical free-to-play system that's so regrettably common in modern titles. There's still plenty of planning and strategy in keeping your park running, but be prepared to either wait or pay for the really cool stuff. 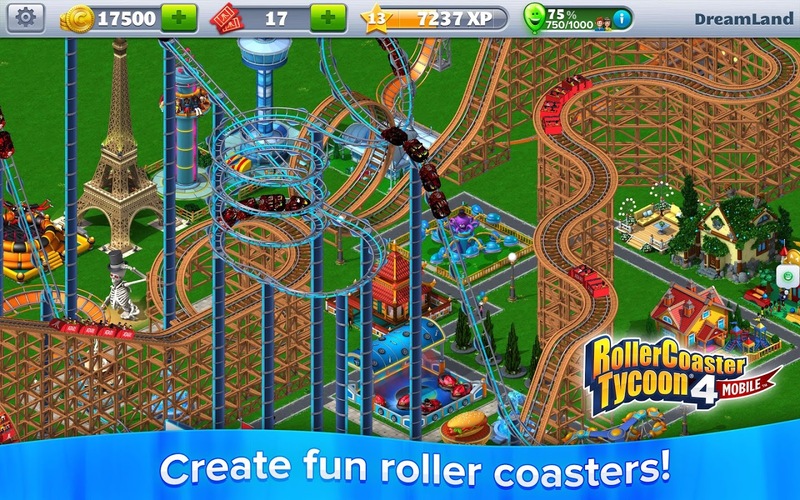 We are thrilled to announce RollerCoaster Tycoon® 4 Mobile™ including Queue Lines. 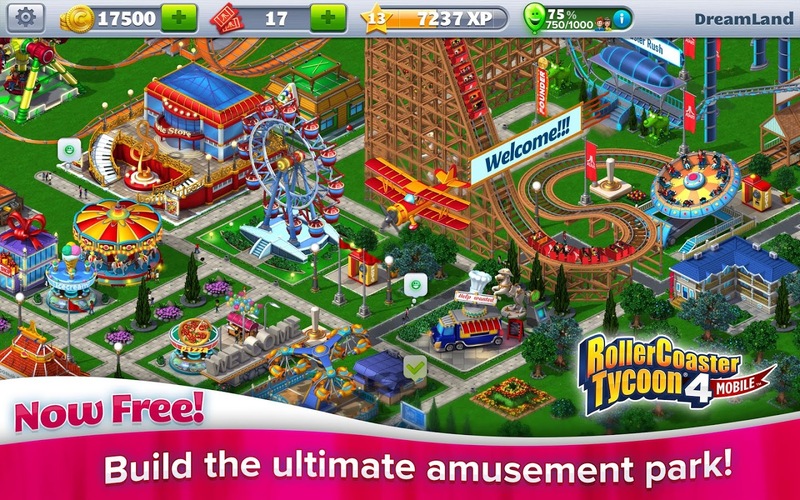 Enjoy a whole new level of customization, watch your peeps line-up and wait for rides while increasing the BUZZ each one produces. 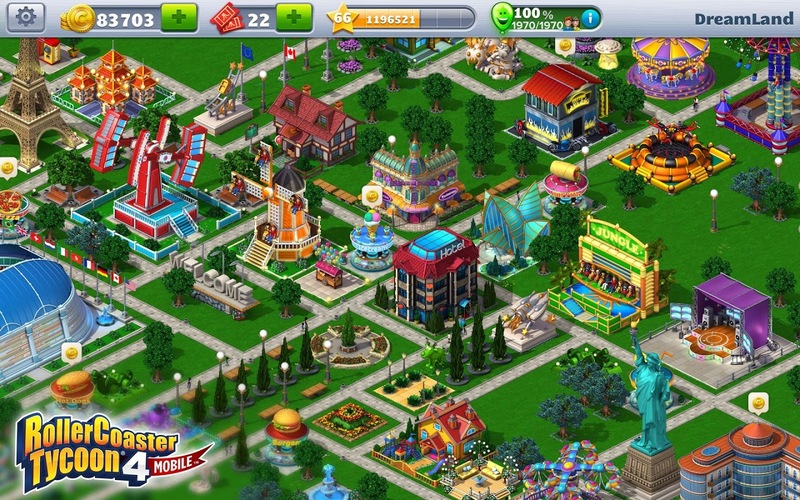 Build your park, make your peeps happy, and play with millions of other players online today. 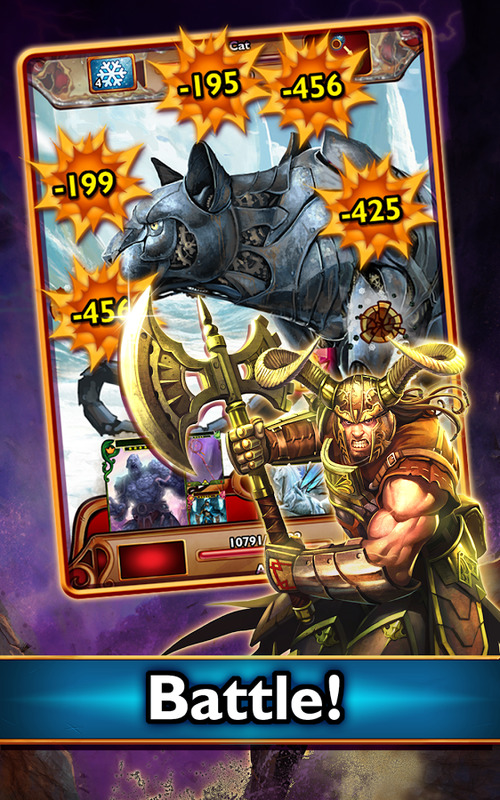 The game includes all new mini-games including slots and others. The fiction of the The Lord of the Rings and its associated novels is wide and deep. This game... not so much. Oh it features a ton of characters from the licensed movies, but the actual gameplay is pretty shallow - collect characters, fight bad guys, repeat. 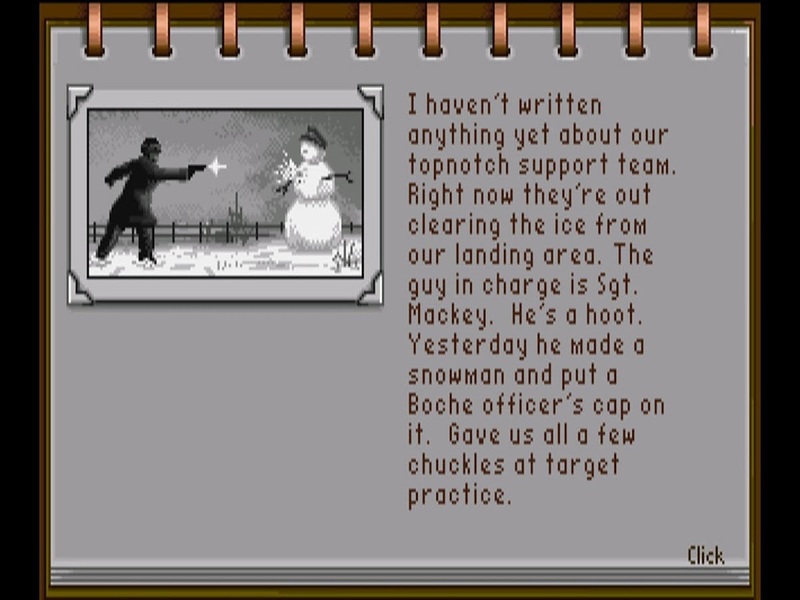 I'd be more interested if it wasn't so static: the puppet-style sprites and barely-animated cutscenes show that the developers spent most of their budget on the Tolkien license, then made a basic 8-bit RPG framework to hold it all up. 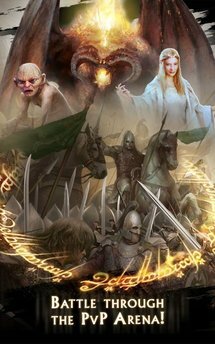 The freedom of Middle-earth is hanging in the balance. Follow the guidance of Gandalf and play as a Dwarf, Elf, Human, or Hobbit to quest for the One Ring and annihilate the forces of evil in this all-new Role Playing and Character Collection game. 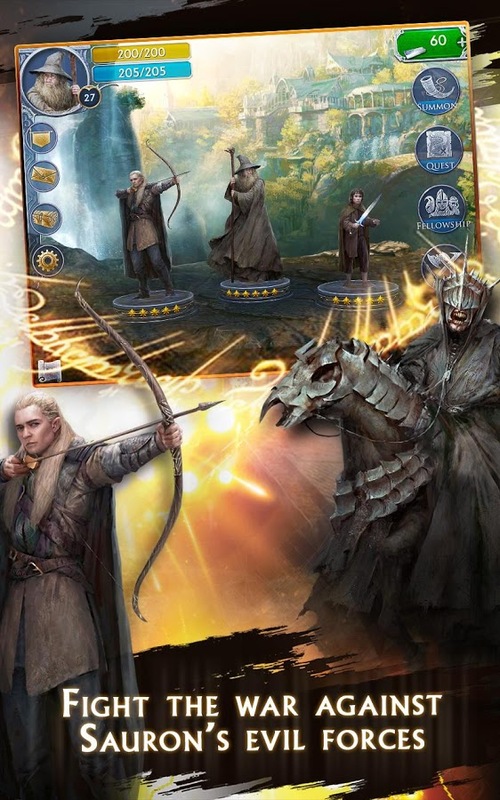 Quest through The Lord of the Rings universe and recruit your favorite heroes such as ARAGORN, BOROMIR, LEGOLAS, FRODO, and more to strategically build your fellowships. 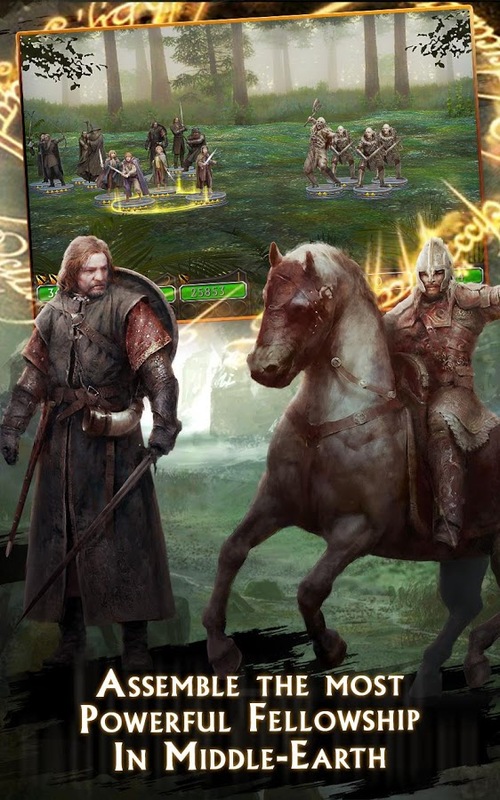 Each hero has unique abilities and each fellowship combination unleashes powerful skills. Card Dungeon mixes the now-familiar live, die, repeat structure of a roguelike with a battle card game. 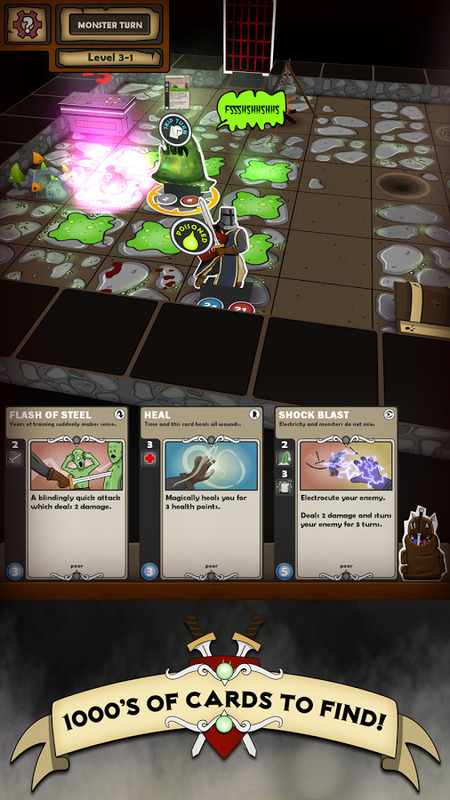 Each action requires a card and a turn, but you only have access to three cards at a time, limiting your options and your capabilities. Use these options to progress through the floors of a unique 3D dungeon. 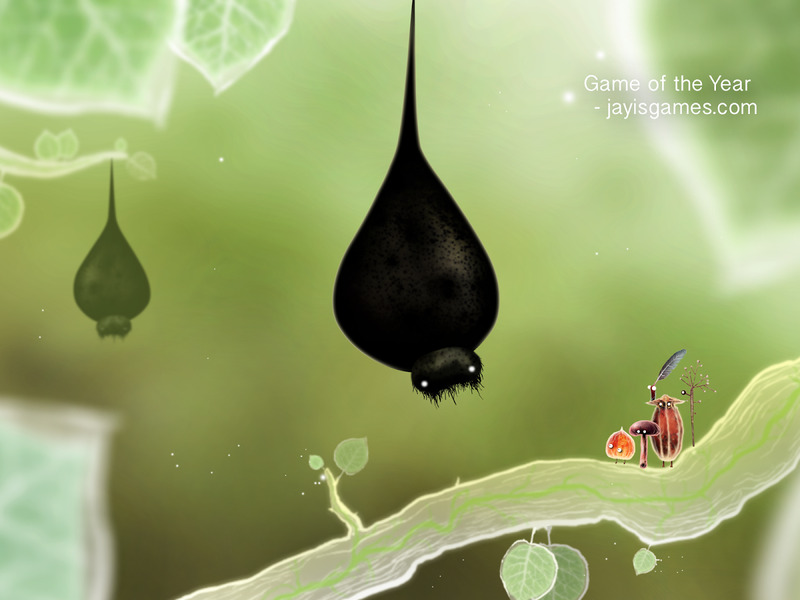 Developer Playtap does things the old-fashioned way, so the $2 game has no ads or IAP, and no connection required. Take control of Crusader and free the lands from the hordes of the Nethermist in this turn based strategy rogue. 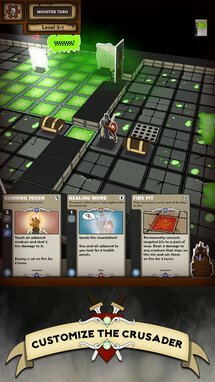 Card Dungeon is a completely unique and handcrafted board / card /rogue-like game experience unlike anything you have played before. 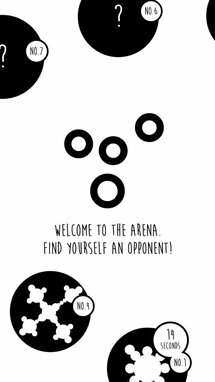 Easy to pick up and play for 10 minutes, but has enough depth and strategy that you will still be playing after multiple hours. You can only do 1 thing / turn. Choose wisely. Space sims are hard to control, even on PCs. So Ace Ferrara's simplified fighter controls are impressive, since they allow for decent dogfighting thanks to simple mechanics and a few great ideas, like a fast-forward button for those far off waypoints. 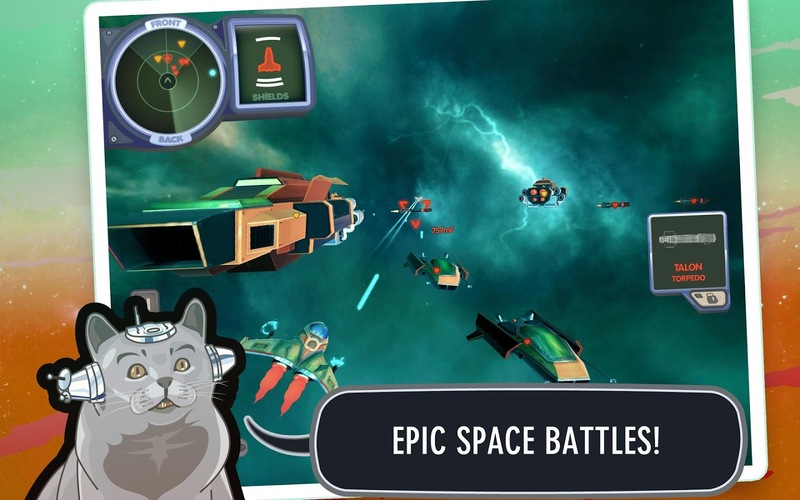 The game itself will appeal to anyone looking for something off-beat - the main character is defeating a race of space dinos with the help of a cybernetic cat. 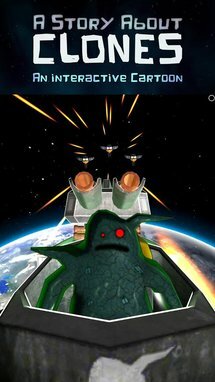 So, yeah, think Starfox with a borderline PG rating. 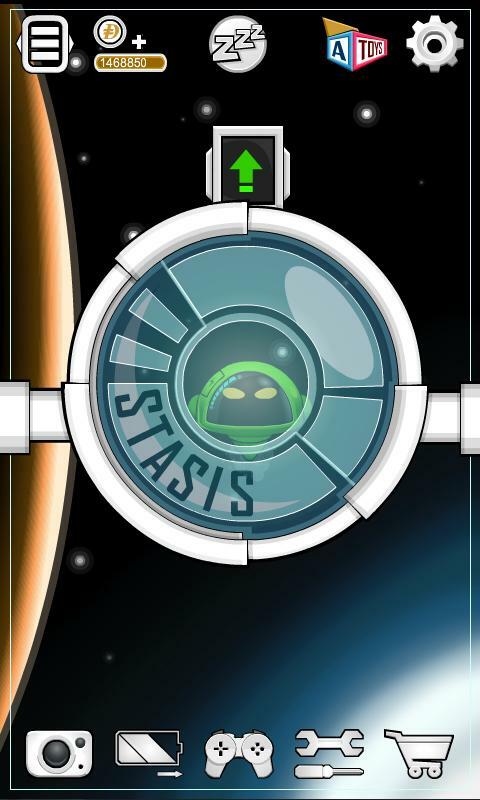 No ads or in-app purchases. 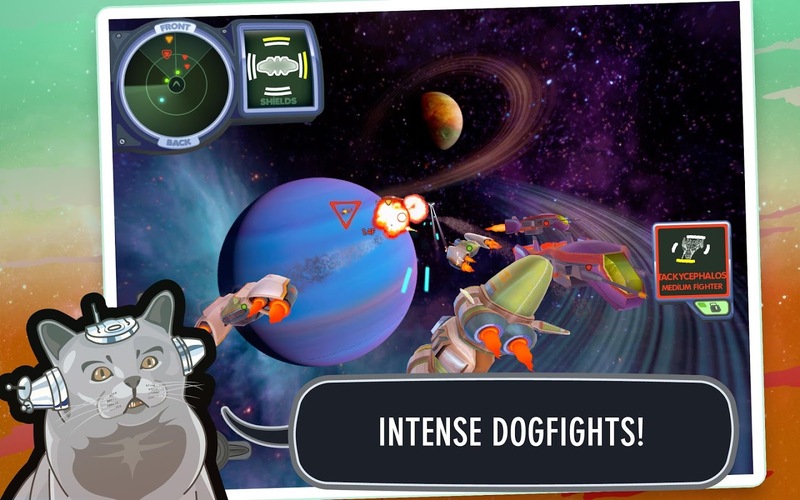 Ace Ferrara And The Dino Menace is a colorful space opera set in an 80s cartoon universe: spacefaring dinosaurs have declared war on mankind and only the Proton Riders - an oddball group of superpilots - can save us from certain defeat. Ace Ferrara is a military cadet who just scored the most prestigious internship in the galaxy: aboard the Proton Riders' flagship Discordia. However, between escorting coffee freighters and manning the fax machine, Ace soon discovers that being an intern among his heroes isn't quite what he dreamed it would be. 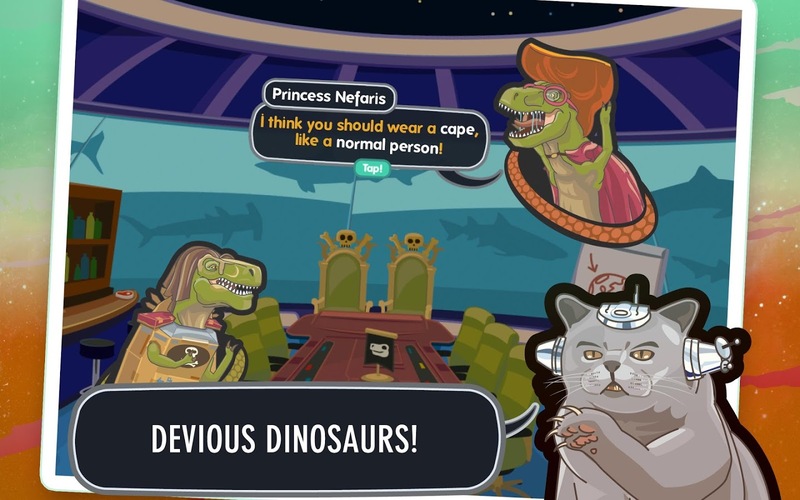 iPollute is something of a mix of a public service announcement (The More You Know...) and a point-and-click activity game. 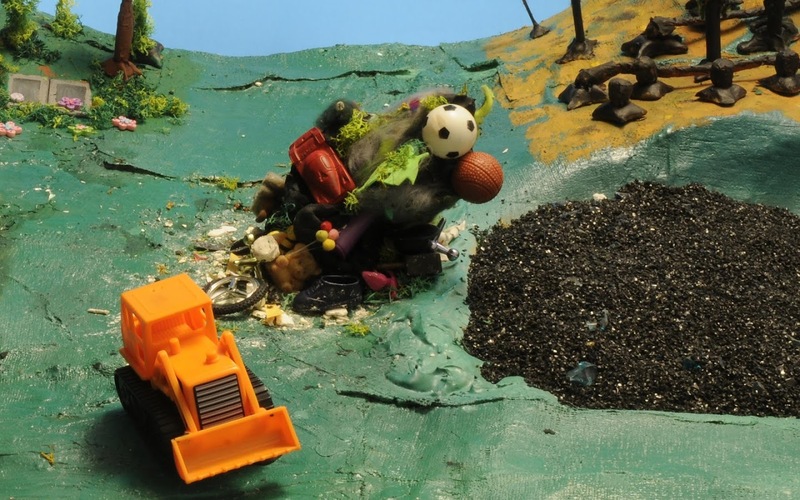 The objective is to see what happens to the Claymation landscape when you add various forms of pollution into it - garbage dumping, chemical spills, over-logging, that sort of thing. 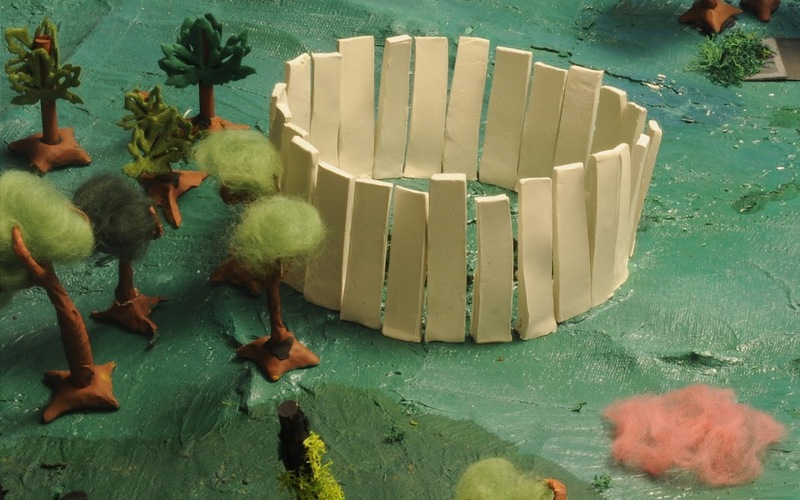 The stop-motion animation graphics are amazing, but it's a bit expensive for a game with such a simple premise. 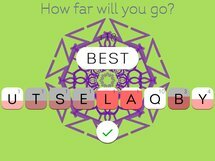 iPollute is a unique puzzle game, set in a lovingly hand-crafted world and packed with stop motion clay animations. 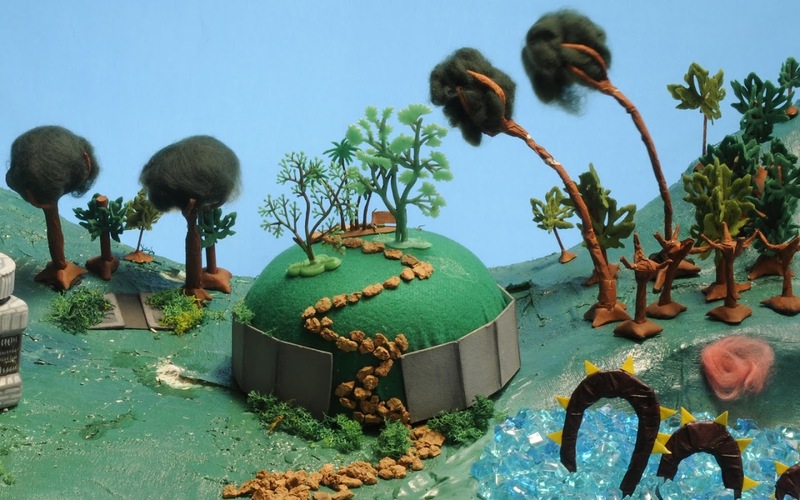 You are invited to a peaceful green valley, and can use your various icons to affect its fate. Every choice you make affects the choices that follow. 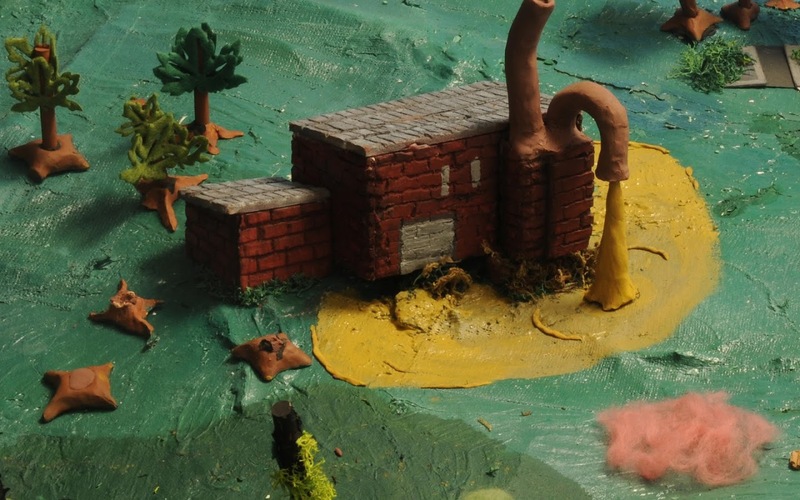 Can you save the valley, or will you destroy it in a terrible tide of pollution? iPollute features dozens of unique paths, each with its own handmade animation sequence. 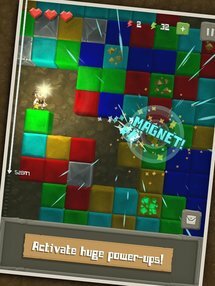 It's funny how every variation of the tower defense genre is now its own genre. 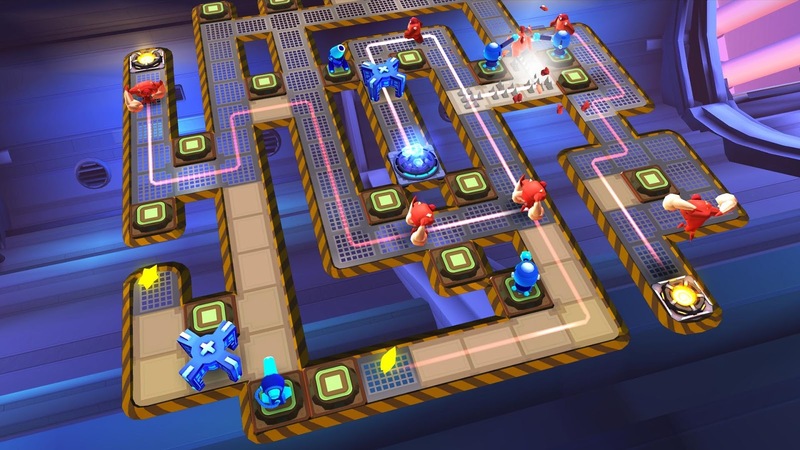 Ubisoft's Bot Squad uses the combined attack and defense style, with both towers and mobile units deployed across limited lanes. 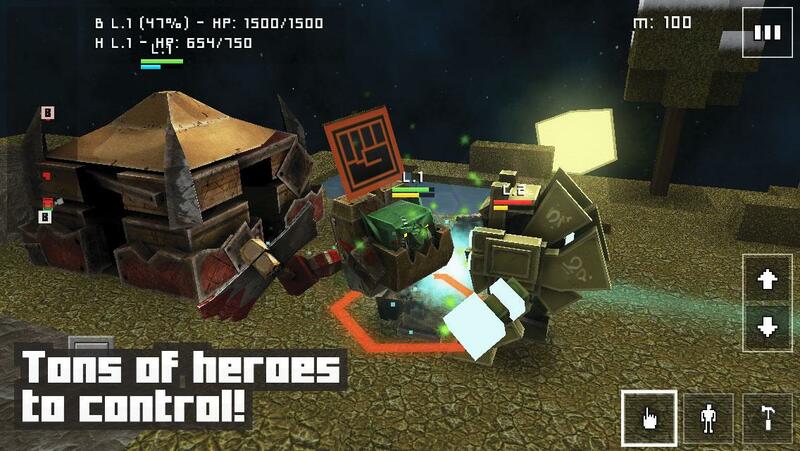 The cast of upgradeable robots includes a familiar green trash can, but even with that and the impressive 3D graphics, this is nothing that dedicated fans of tower defense haven't seen before. 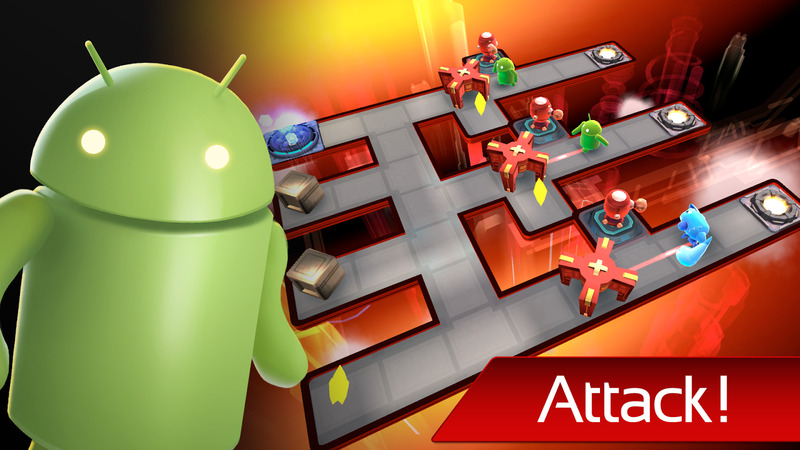 Lead your Bots to victory in an epic quest for energy, paved with mind bending puzzles & frantic battles. THE BOT SQUAD: Puzzle Battles is a brand new puzzle/strategy game by Ubisoft that twists and redefines classic Puzzle and Tower Defense gameplay and takes fun and challenge to a whole new level. 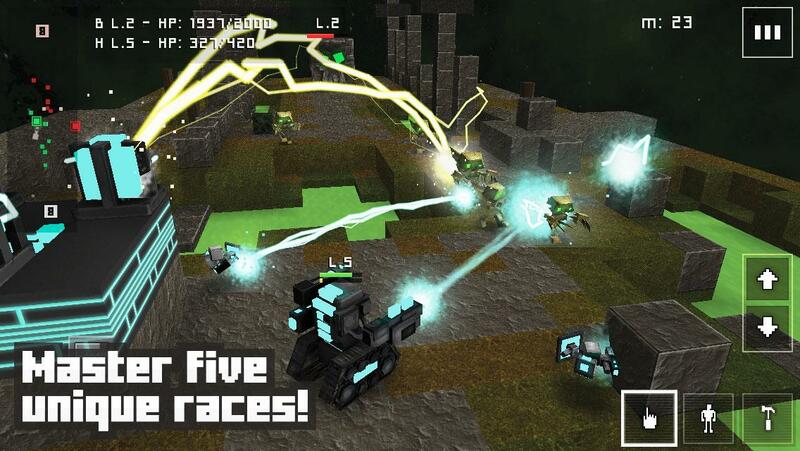 Combine your Bots’ unique abilities to navigate trap-ridden arenas and to defend your energy against waves of voracious enemies. 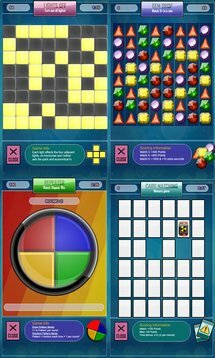 In Joinz, it's your job to make the familiar shapes of Tetris using a limited grid playing field. 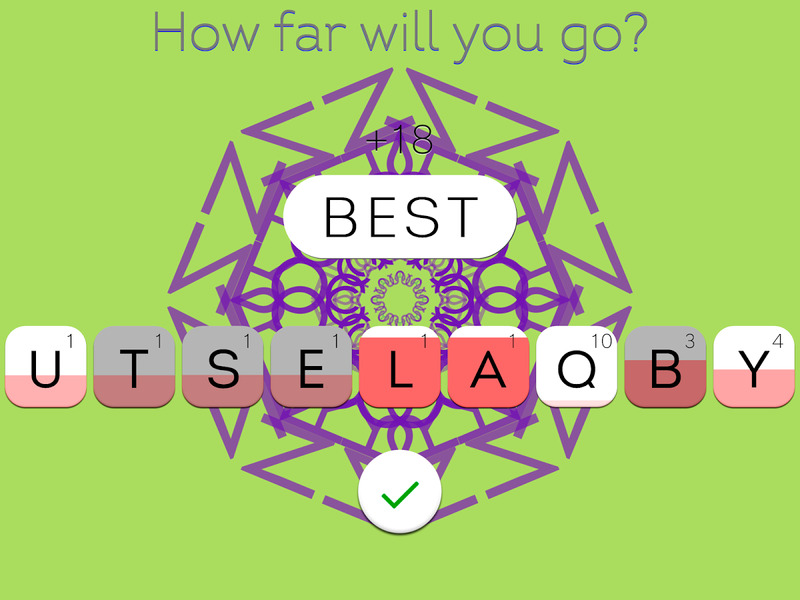 The game is slow-paced and endless, so it's something of a "zen" puzzler. 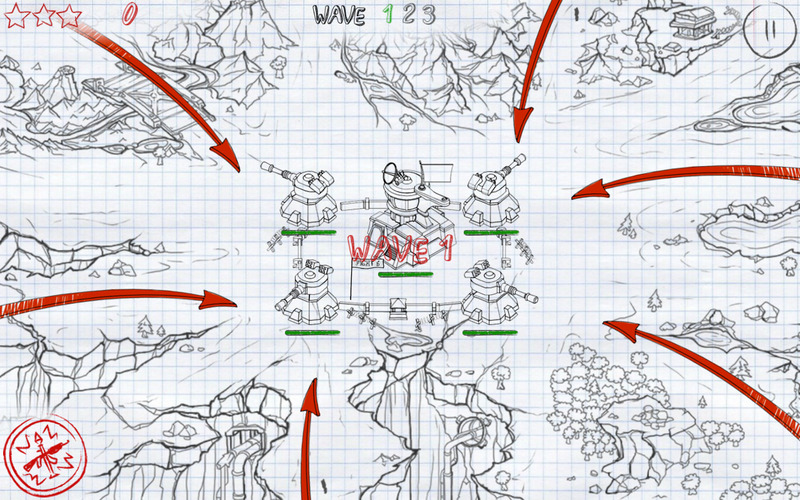 The interesting part comes from the various upgrades and special moves that can be picked up and applied to the board, helping the player navigate at higher levels when things start getting crowded. 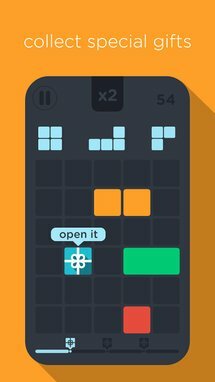 Joinz has no ads or in-app purchases. Nostalgia Software is back with another of its super-simple adventure games. 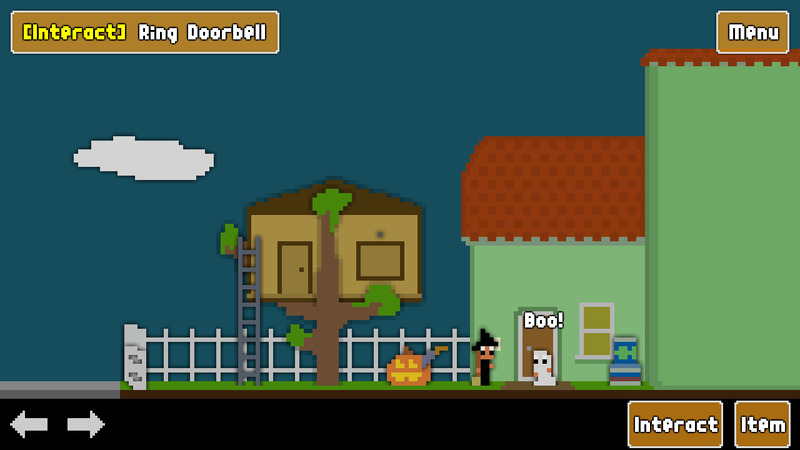 This time it's set around Halloween (naturally), with your pint-sized character tasked to make costumes, carve Jack-o-lanterns, and collect as much candy as a 10-year-old can drag down the street in a novelty plastic pumpkin. 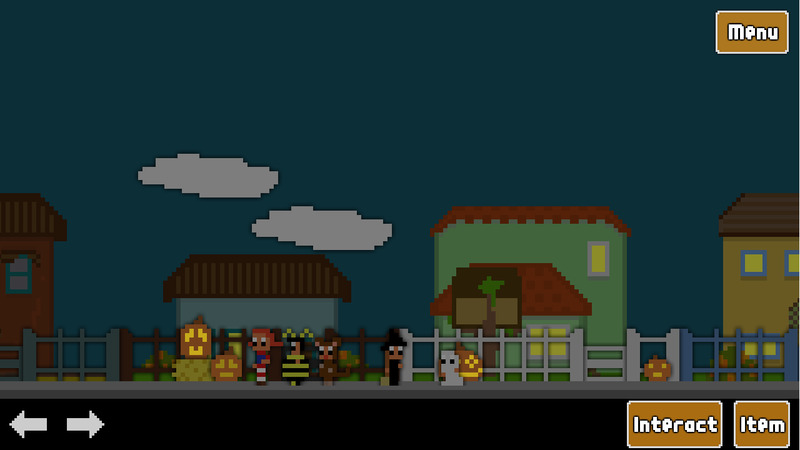 Ahh, Halloween - a time to dress up, carve pumpkins and amass glorious amounts of candy. In order to collect enough candy, once around the neighborhood just won't do - you are going to need several different costumes to pull it off. 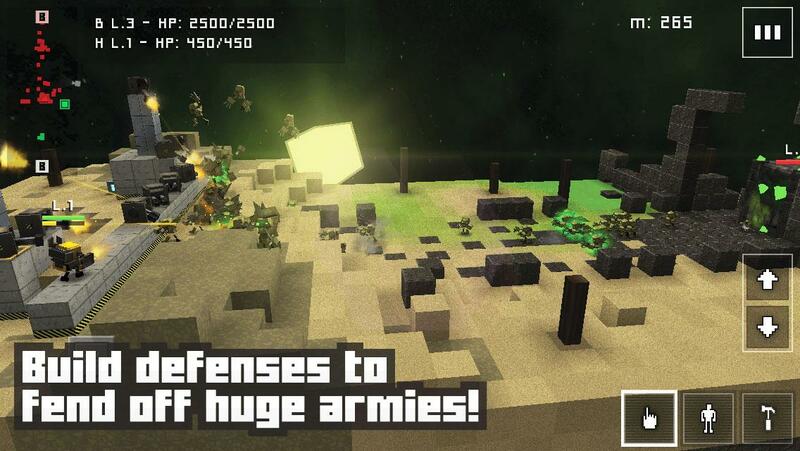 I could say that Block Fortress: War is simply putting a Minecraft skin over tower defense, but when you have towers, walls, and units going at it on both sides, it's more like a full real-time strategy game. 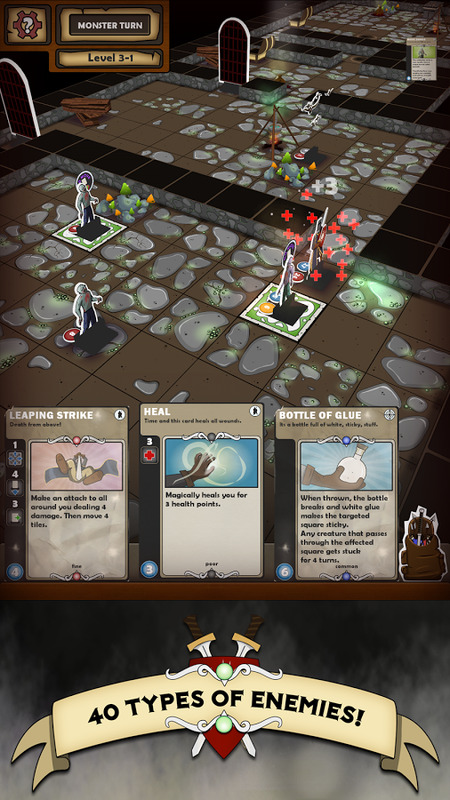 And indeed, this game has multiple races that require differing strategies, not to mention real-time online play powered by Google Play Games. 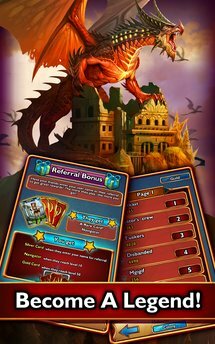 Solo players get their own campaign, and while this is free-to-play, it's not unreasonable - the largest currency boost is just $10. 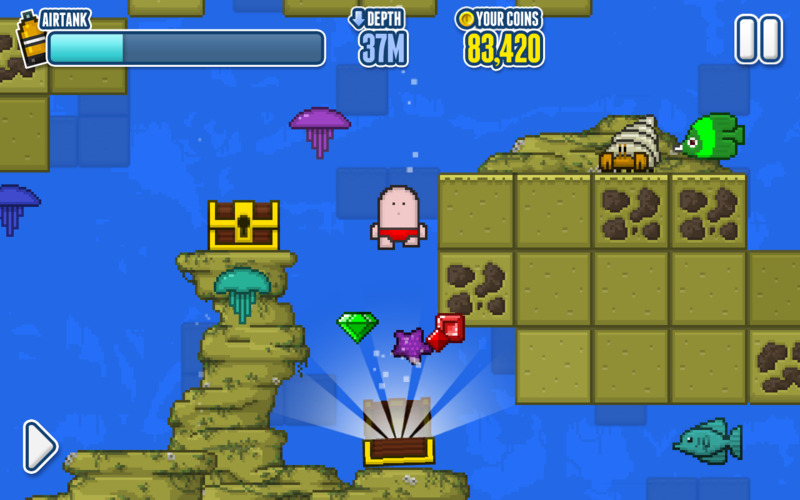 Deep Loot is basically a platforming game, with the odd twist that the obligatory underwater level is, well, every level. 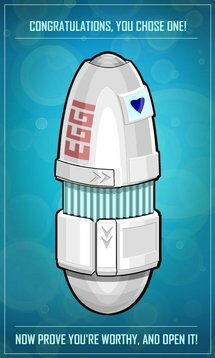 There's also no conventional end - just go around avoiding fish and collecting loot, upgrading your suit, ship, and gear. It's fun enough in a Borderlands sort of way, though your nautical mileage may vary - this one has a decent following on iOS already. 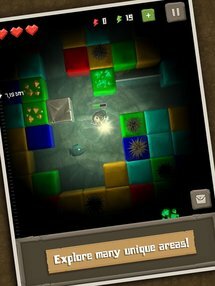 Deep Loot is a game about swimming, digging and fighting your way through an infinitely explorable ocean to discover lost ruins, plunder hidden treasures and earn some chunky paychecks. 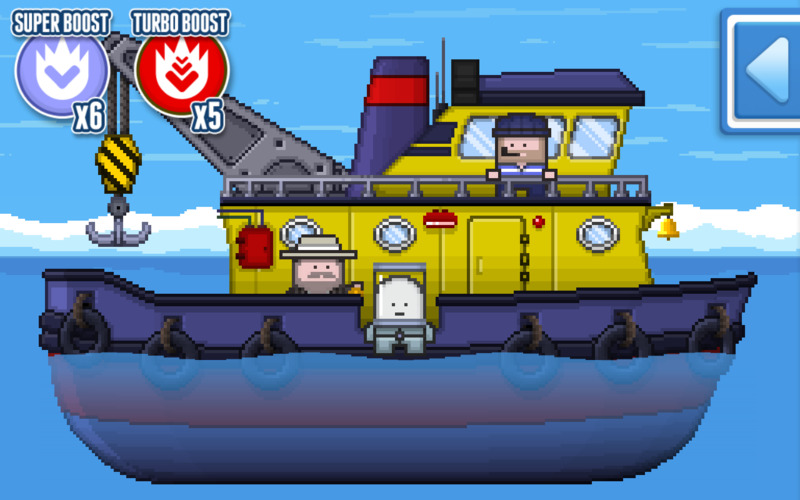 You can then use your coin to get bigger boats, unlock diving suits and to upgrade your equipment as you attempt to find hundreds of unique artifacts, complete variety of challenges and smash a smorgasbord of records in a quest to become the greatest Deep Loot diver of all time. 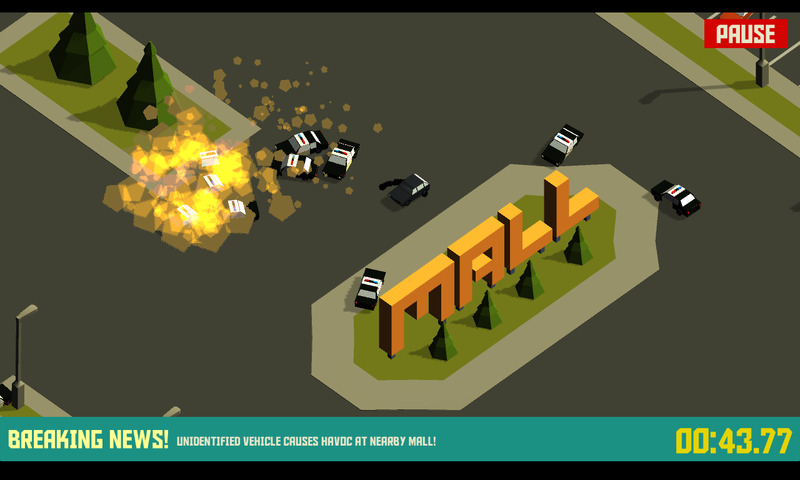 Pako is essentially a stylish version of the top-down car chases that were such a staple of the early Grand Theft Auto games. Hop in your car and start driving - anything goes so long as you can avoid the cops. There's not much in terms of ancillary activity, but each level has some unique and zany elements. 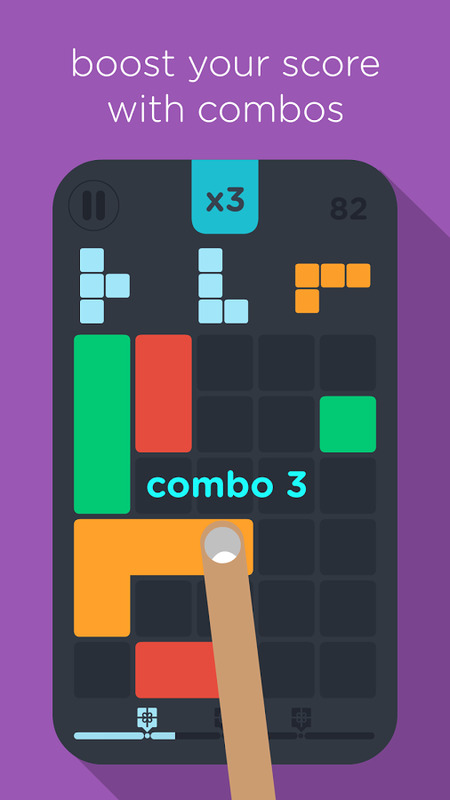 The game is free, but you can pay a measly $1.27 to get rid of the advertising. Closed area. No Escape. How long would you last? 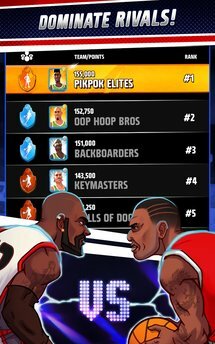 See how far you can make it on online leaderboards. 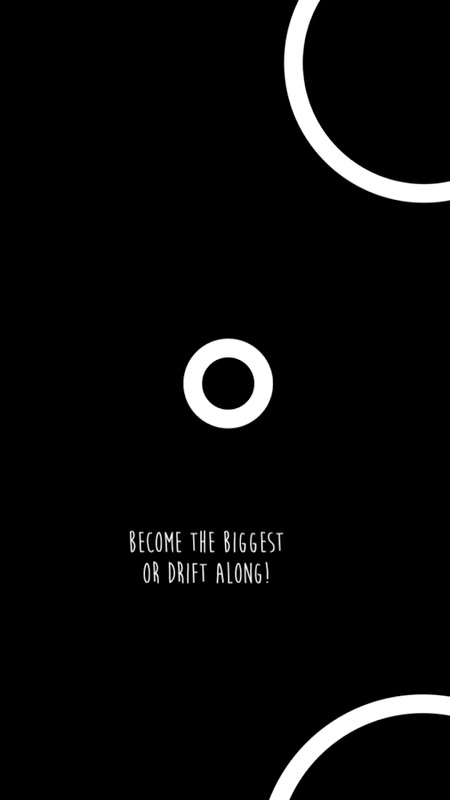 Pako is a car chase highscore hunt for mobile. 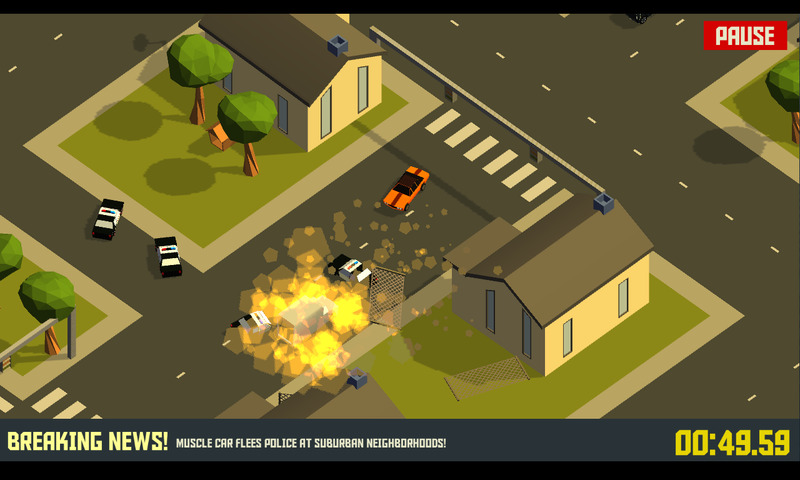 Escape the cops and avoid obstacles as long as possible before the inevitable crash. 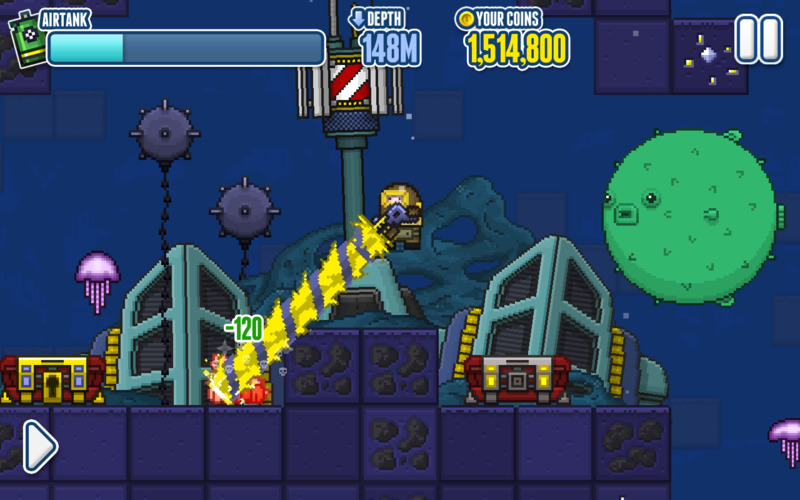 Levels differ to each other and have bonus elements like zombies and tanks. 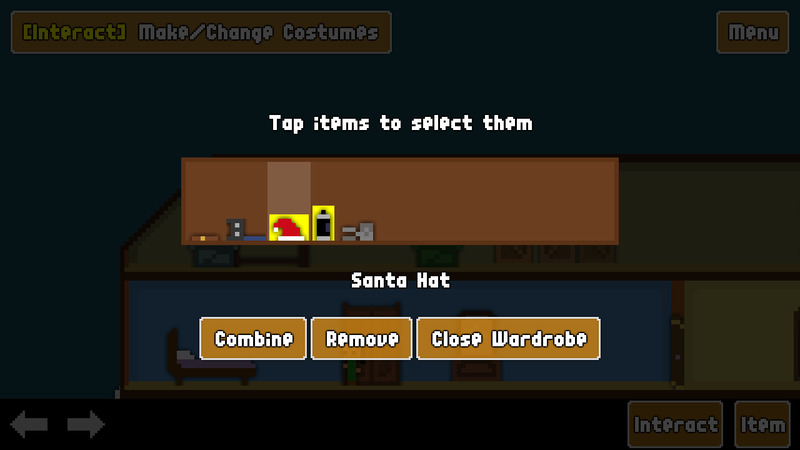 Game mechanics are super simple, two button controls with fast restart. No learning time, no tutorial, no unnecessary settings to tweak when you just want to play a round. Pako literally cuts to the chase. 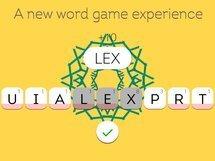 Lex is a Boggle-style word game with a unique countdown element. You select from a group of replenishing letters to make words, but the longer any one letter stays in your field of play, the "hotter" it gets. If you let one of them stay in too long without using it in a word, the game is over. It's an interesting take on an old idea. 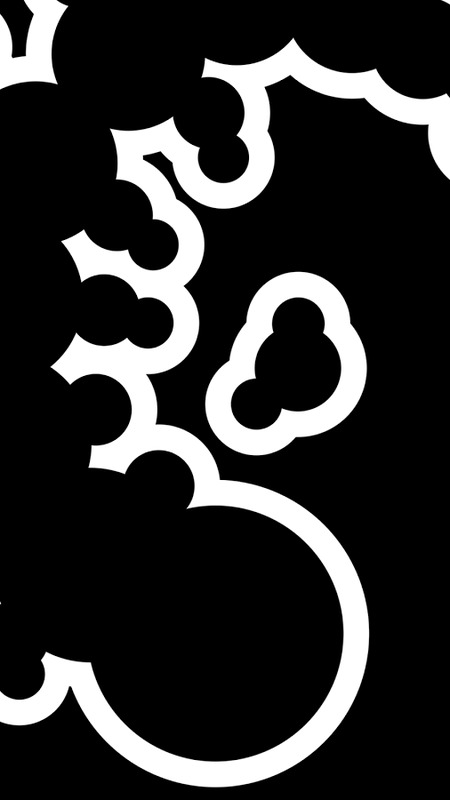 If the concept is still fuzzy, watch the trailer below. 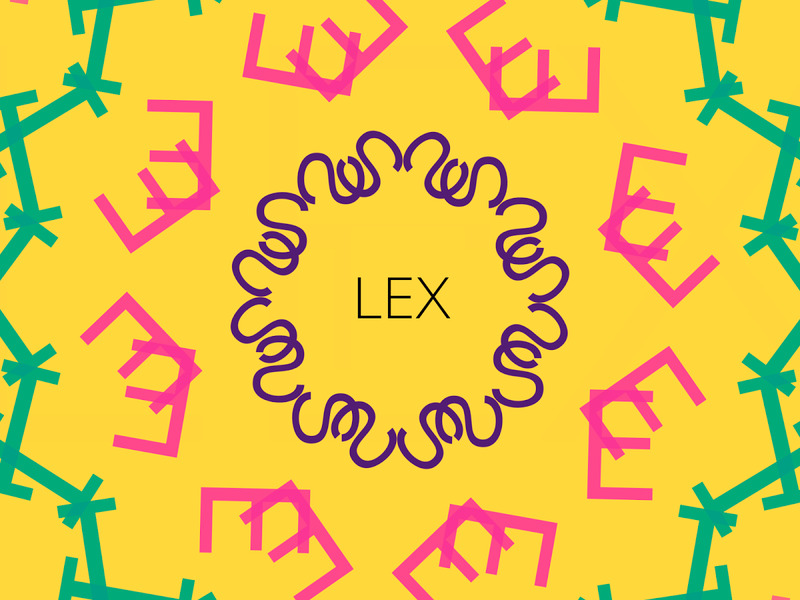 LEX is more than a word game. 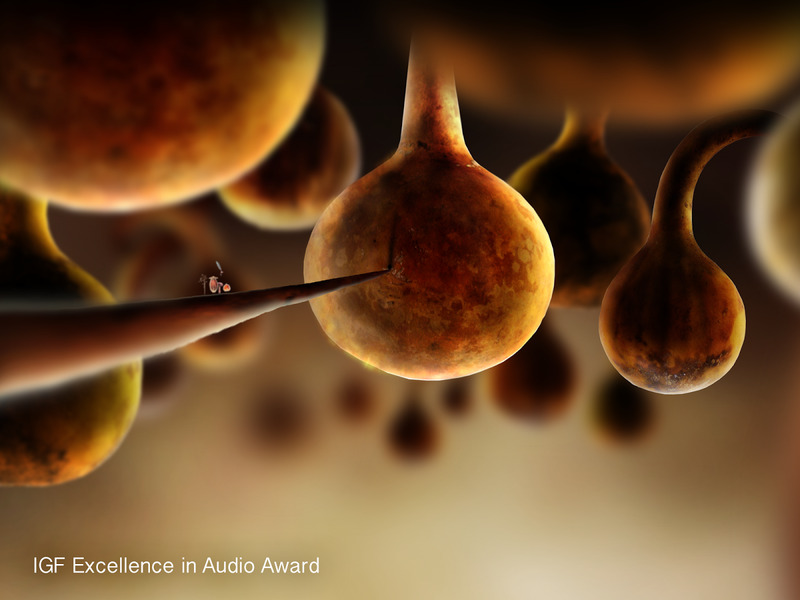 It’s an ephemeral experience of colorful glyphs and breath-taking music that you create as you play. 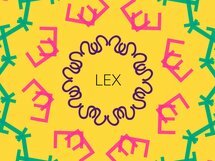 Combine letters to form words before time runs out. 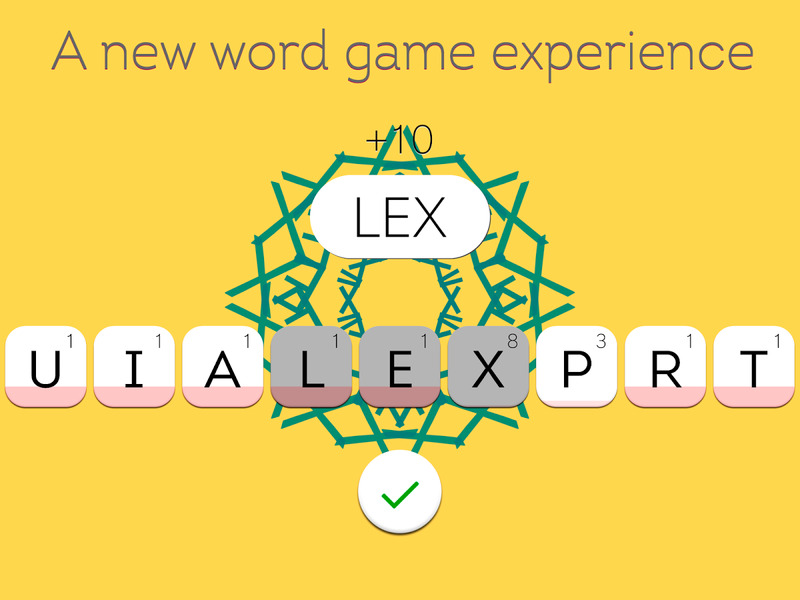 Each word gets you closer and closer to the next level. Your heart pounds as you fight to make just one more word. 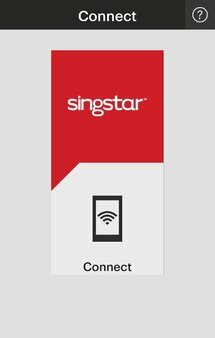 Universal app looks great on every device. 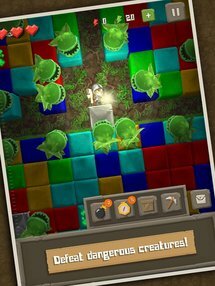 The politics of the dragons in this game must be really confusing, because it's a tower defense title that uses dragons as both offense and defense. 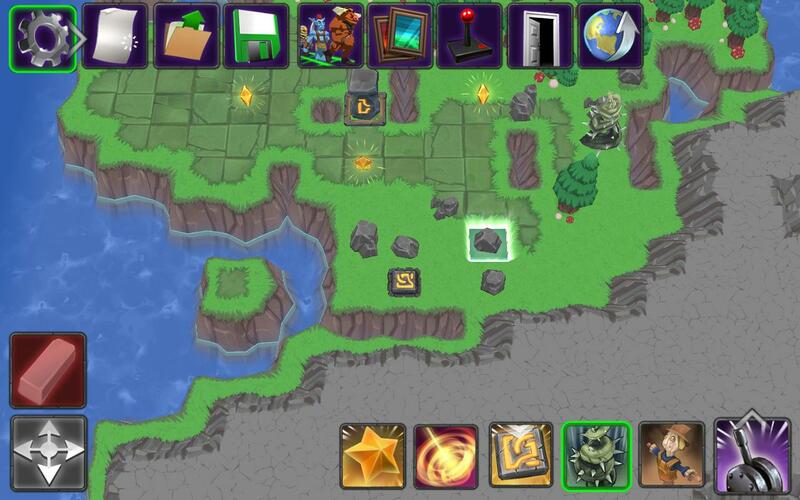 Epic Dragons has a cutesy exterior and some fairly basic core mechanics, but tower defense fans might want to give it a second look thanks to a robust level editor. Levels can be uploaded and downloaded from a worldwide database, and popular levels earn their creators in-game rewards. The dragons are under attack. 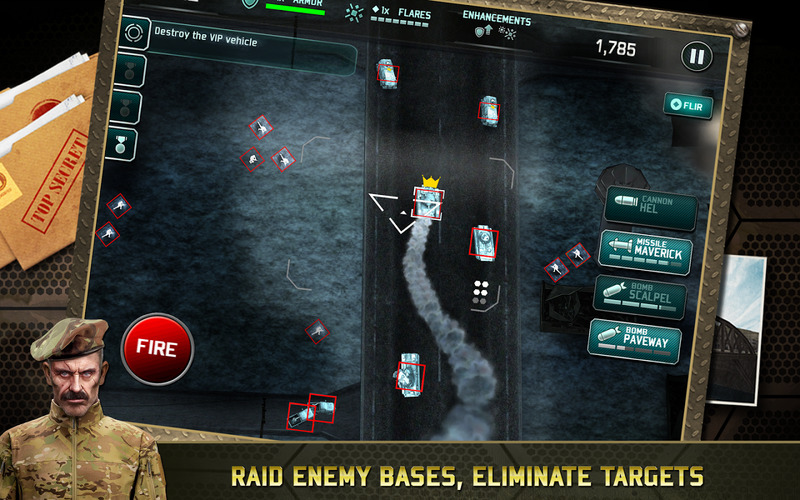 Help them to defend their homeland by unleashing them on their foes. 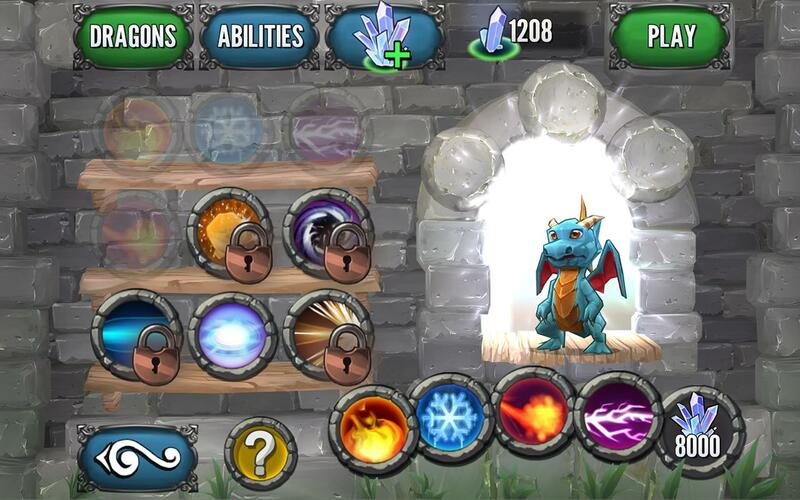 Use your abilities to launch explosive meteors and powerful lightning bolts upon those who would steal from the dragons. 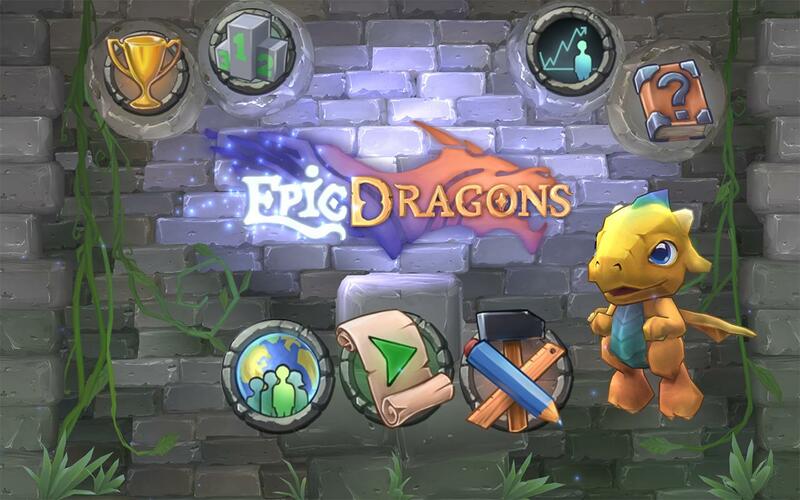 Welcome to the world of Epic Dragons. 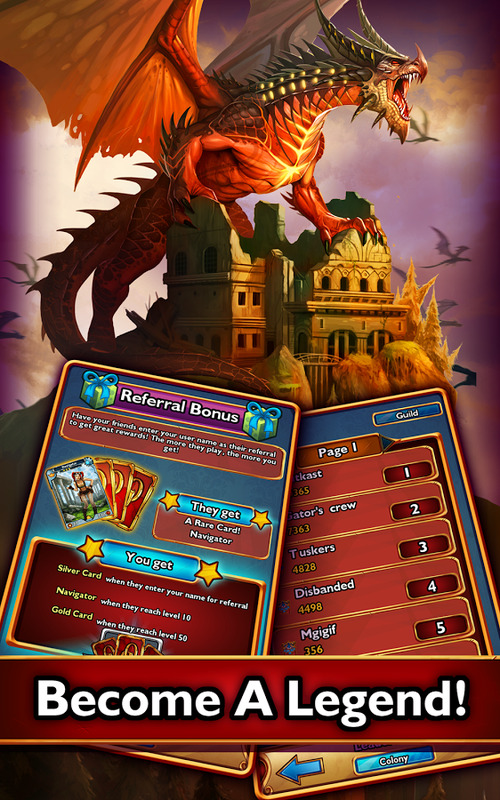 You are the master of dragons and you need to help your fellow dragons out. 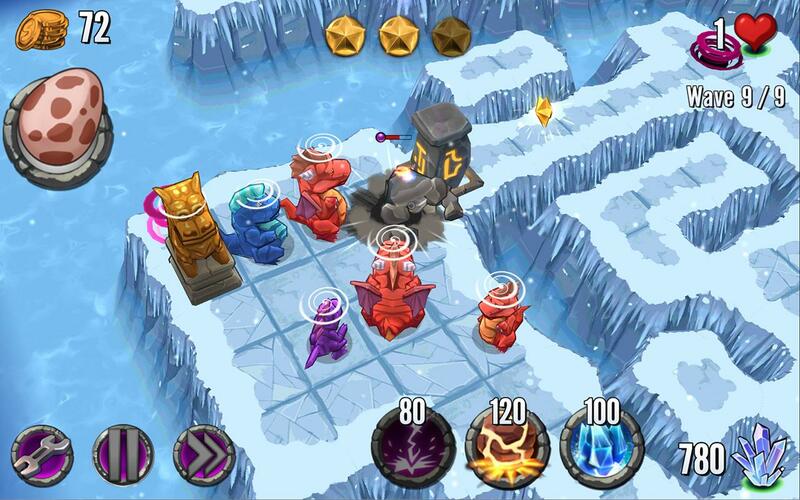 Strategically place your dragons in order to block your enemies and collect 3 stars. 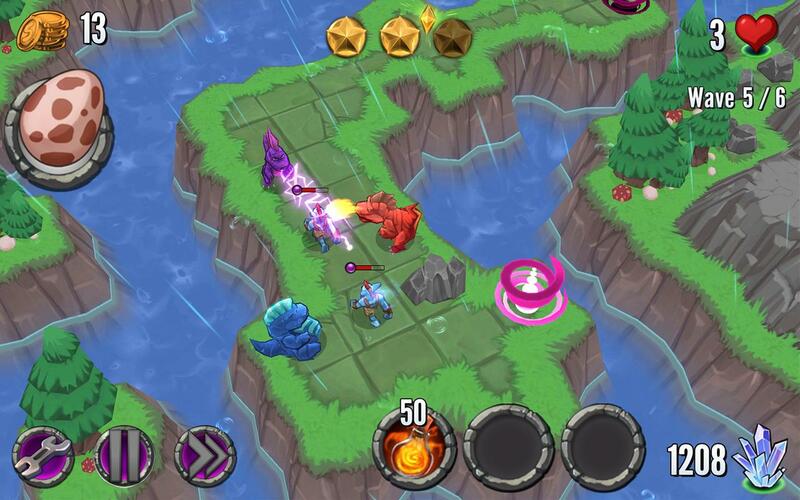 This isn't tower defense, this is DRAGON DEFENSE.! 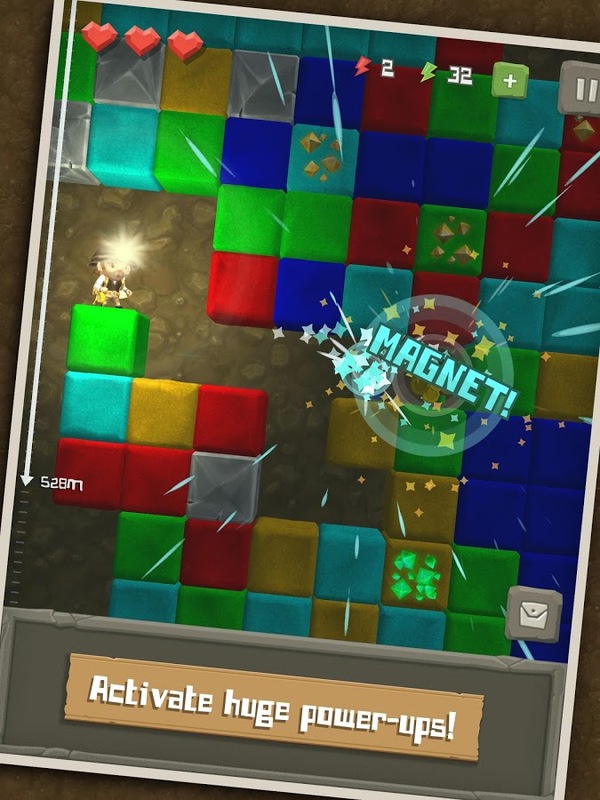 Holy crap, a Cartoon Network (okay, Adult Swim) game that doesn't have anything to do with Adventure Time! Yes! 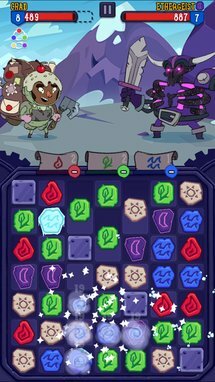 Adventure Xpress (seriously, still not Adventure Time) is another take on the RPG/Match Three mashup, this time with the same biting sense of animated humor as Robot Unicorn Attack. 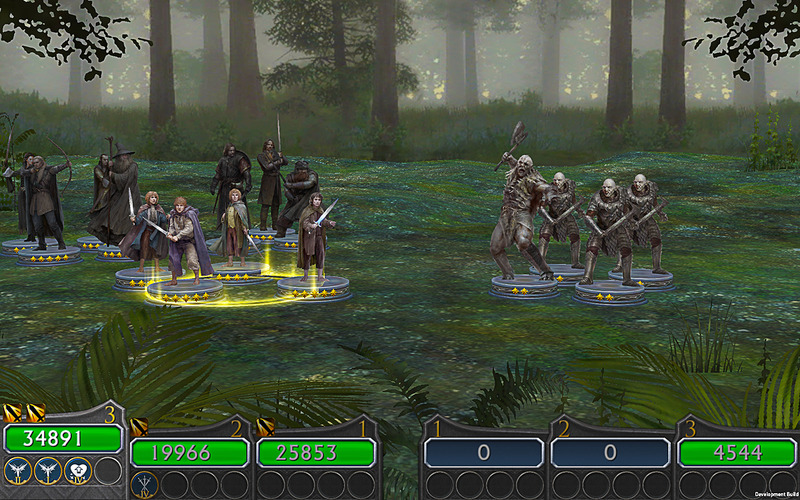 Your offense comes from matching "runes," augmented by your character's equipment. 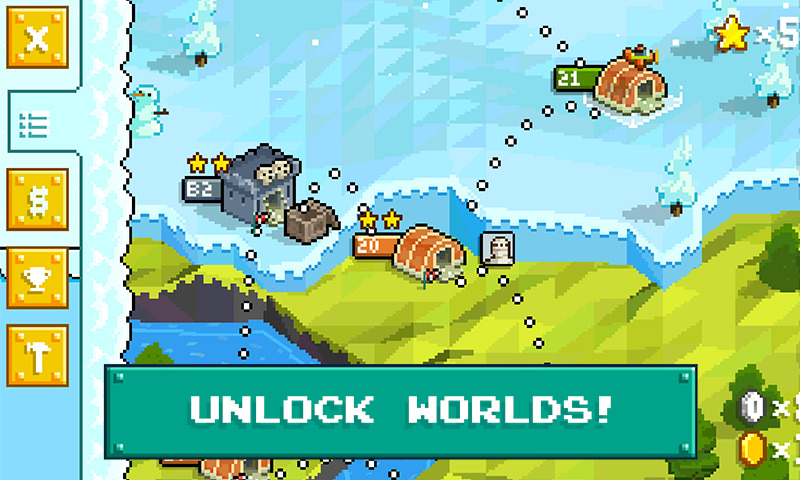 This one has currency-based IAP, but it's not altogether egregious. 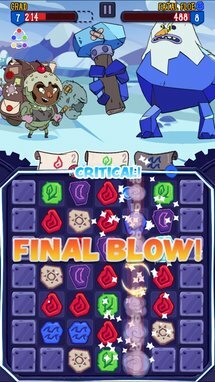 Adult Swim and PikPok, makers of Robot Unicorn Attack 2 and Giant Boulder of Death bring you their biggest game yet. • A new twist on Match-3 gameplay - Equip weapons, armor, and spells to personalize your strategy against foes. 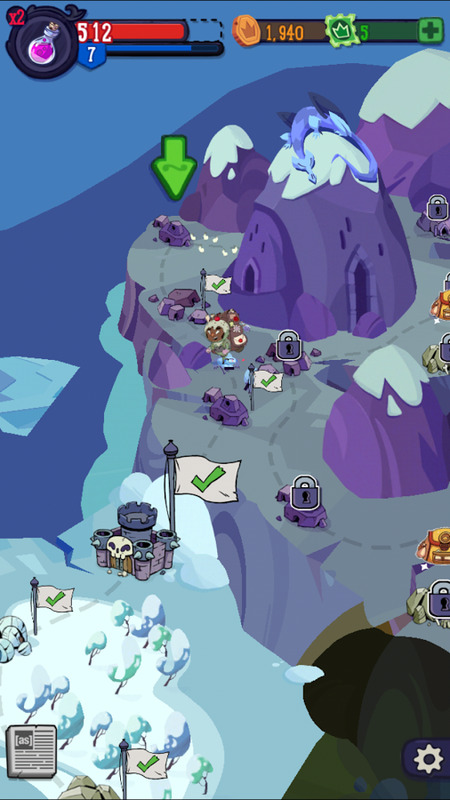 Match three or more runes to attack. 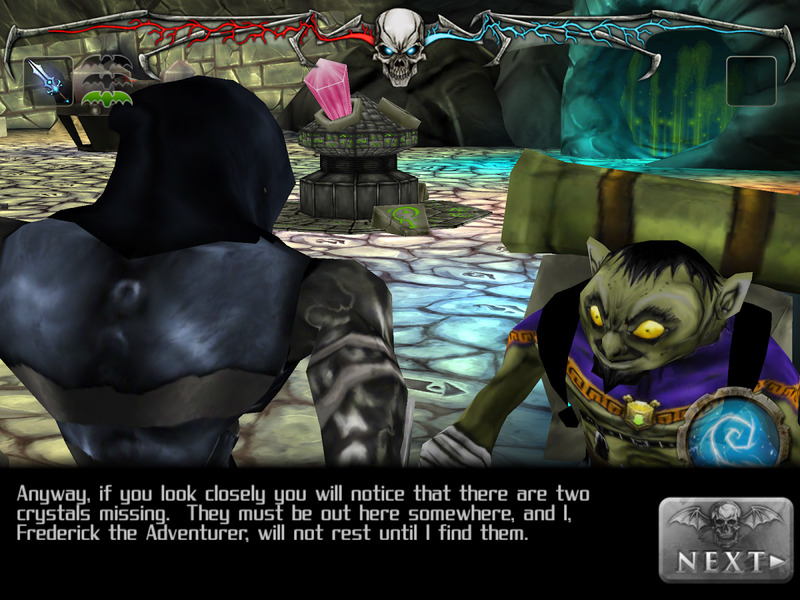 • A huge journey - As part of the Adventure Xpress you'll travel to over 275 battle locations across a sprawling world map. • Heartwarming stories - If you’re risking your life as a courier man or woman to deliver these letters you should at least get to read them, right? Oh, there it is. 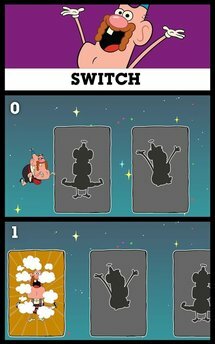 "Anything" is basically Cartoon Network's name for a series of super-simple minigames, structured in a way that's pretty similar to the old Wario Ware titles, plus some quick video clips to boot. The games themselves probably won't hold the attention of adults, but parents will appreciate the fact that the simple diversions are offered free with no in-app purchases. It’s the first TV network built exclusively for your phone. 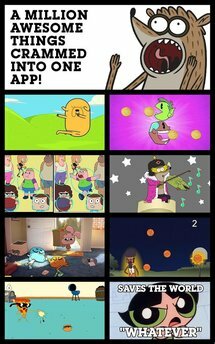 Explore an endless stream of original micro content from shows like Adventure Time, Regular Show, Gumball, and Teen Titans Go. 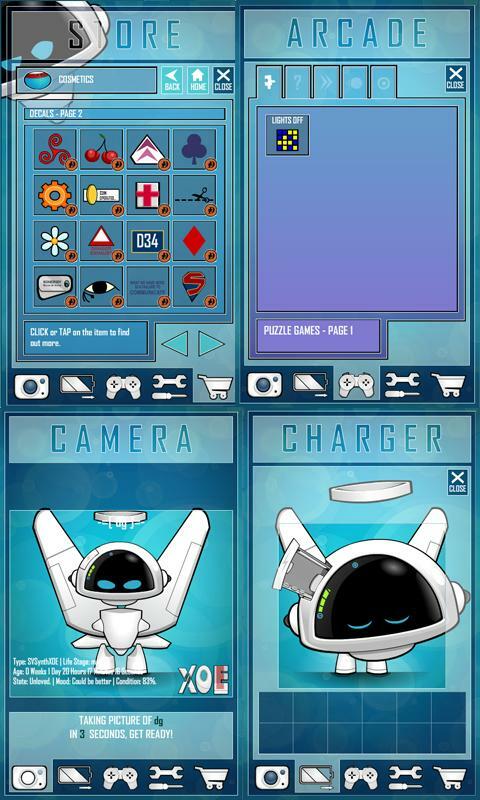 Cartoon Network Anything is loaded with tons of games, videos, polls, quizzes, trivia, puzzles, and more. 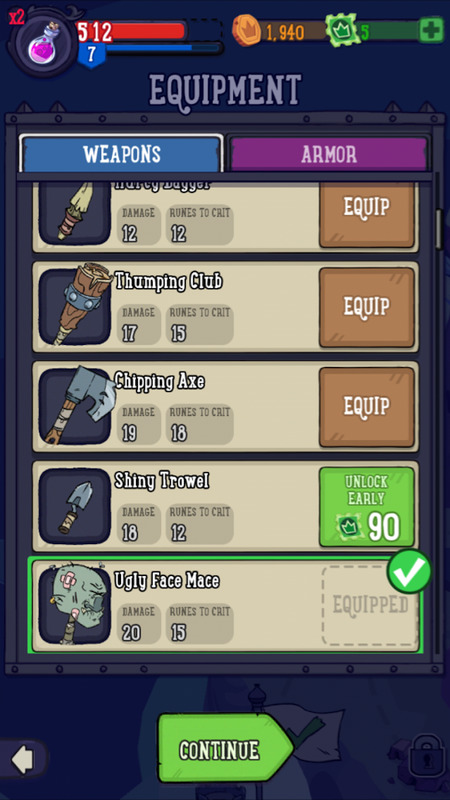 With new stuff added all the time, you never know what you’re going to get next. 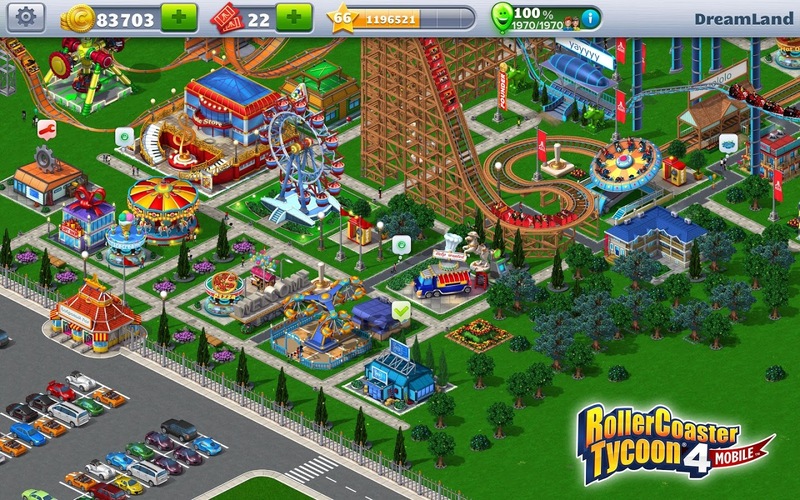 Swipe your way through a nonstop stream of fun, frantic, and totally unpredictable activities. 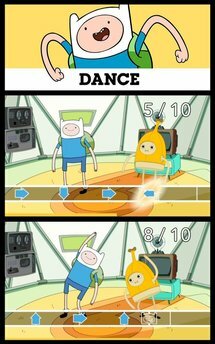 There’s no end to the amazing content you’ll get on Cartoon Network Anything. "Slender Man" is something of a crowd-sourced horror icon, a boogeyman for the Internet age. 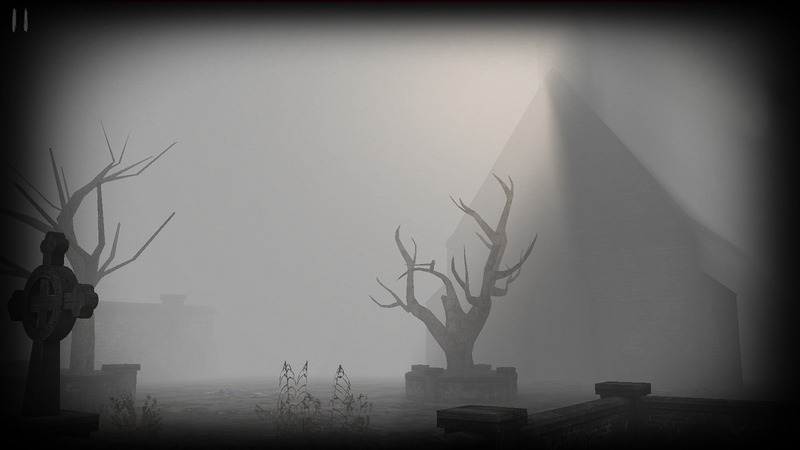 This port of a popular iOS adaptation of the "legend" is basically a first-person 3D exploration game, interspersed with jump scares as the creepy Slender Man pursues you through the dingy and creepy environment. 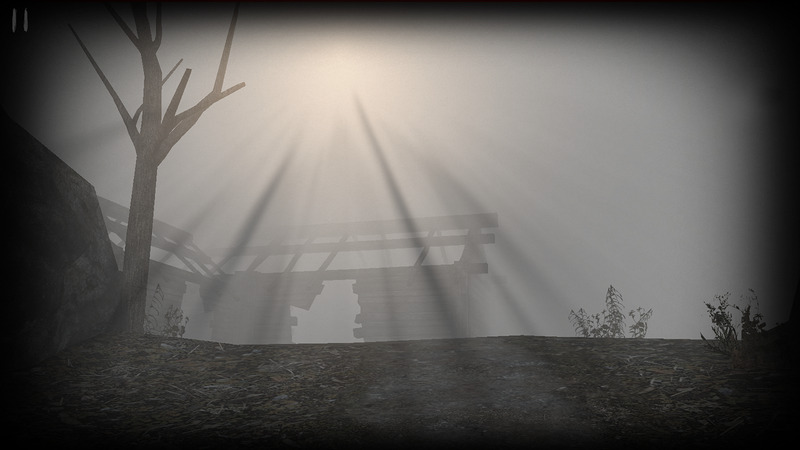 Slender Rising is a reasonable $3.29, but if you'd like to try it out, a free demo is available. Finally. 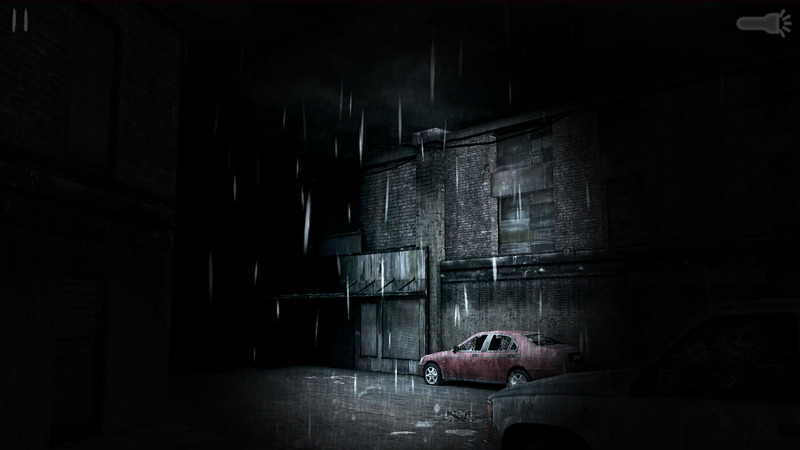 The scariest iOS horror game now available on Android. 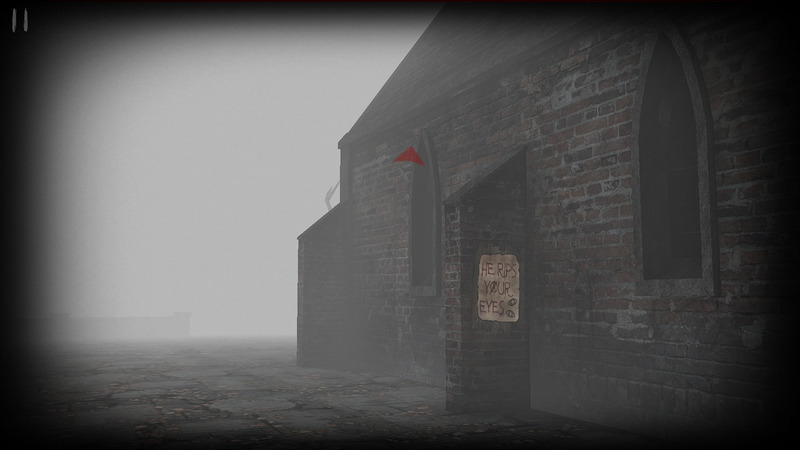 Experience the original Slender Rising, that scared millions of people worldwide now on your Android device and you will know that it was worth the wait. 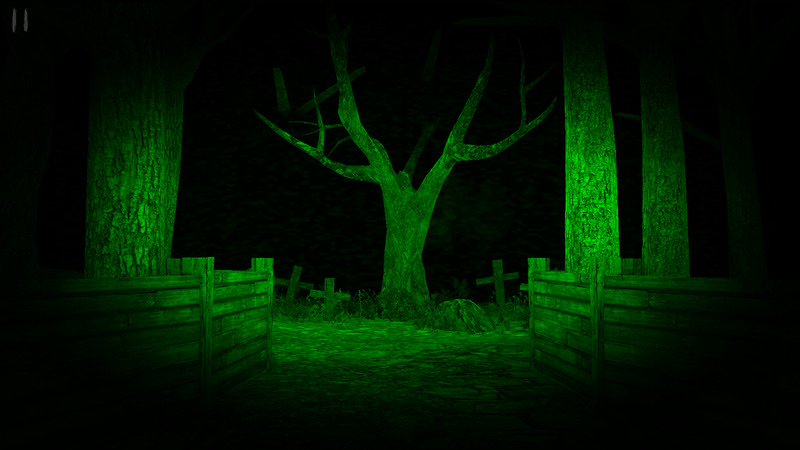 Investigate haunted places during the day and with a flashlight during the night. Additional night vision and thunderstorm modes for extra shock value. Tap and Swipe to move your character. Multiple optional joystick control schemes. 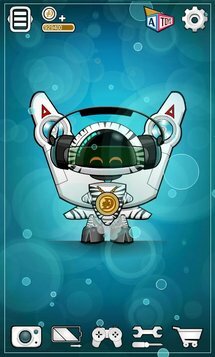 XOE - A Virtual Digital Pet. XOE is more or less a newfangled version of the original Tamagotchi/Digimon concept. 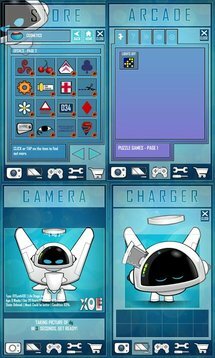 Your little robot friend is "hatched," you nurture it, "feed" it (with a charger), watch it grow, play games with it, and then watch it die. Some of the interesting technological elements are hilarious (this thing poops out used batteries). 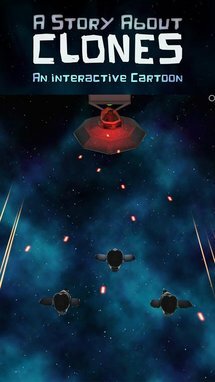 Right now the game is in an early stage, and it's being offered for free. 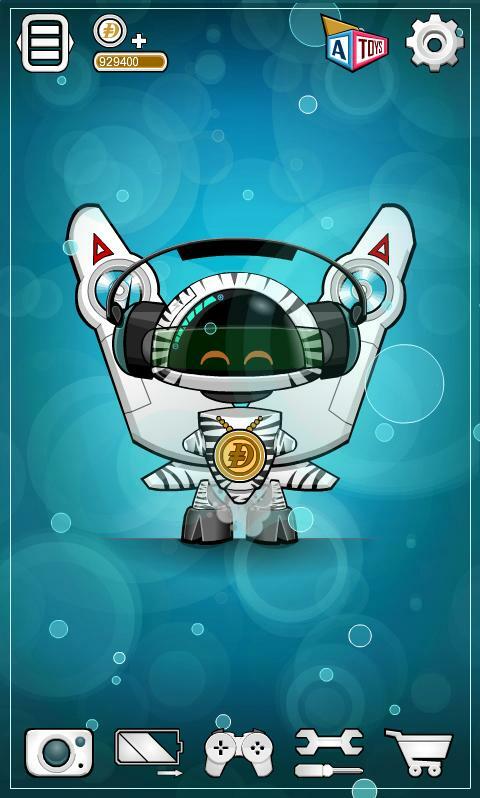 This is XOE, a little virtual pet robot, that needs your love. 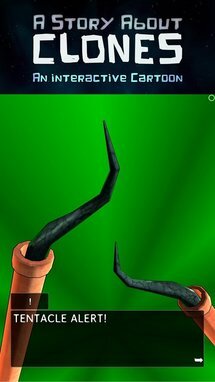 A XOE (XAitec Organism Emulation) is a little different to other virtual pets. 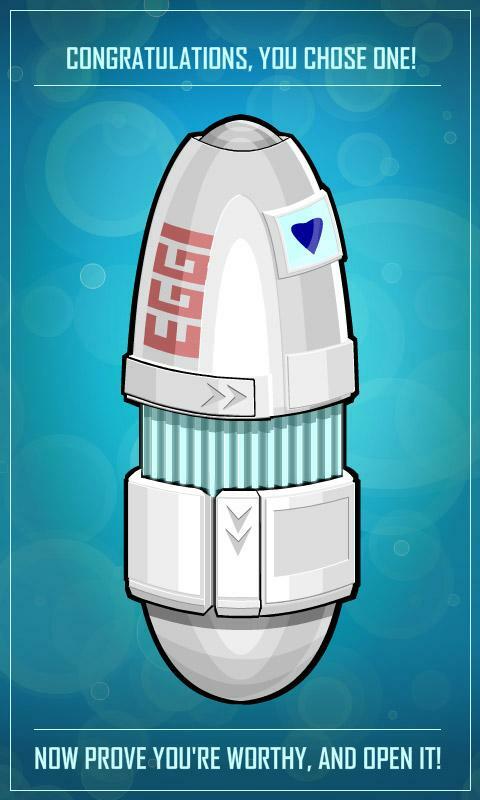 It eats batteries for one, (drains their charge) animates when bored, shows emotion, has favourite things, ages, growing through 4 distinct ages, and then finally, after a minimum of 10 days will pass away. :( But you can try again, and see if you can unlock the secret to longevity, yes it is possible to sustain your XOE for a very long time, but I'm not going to tell you how, that would spoil the fun. 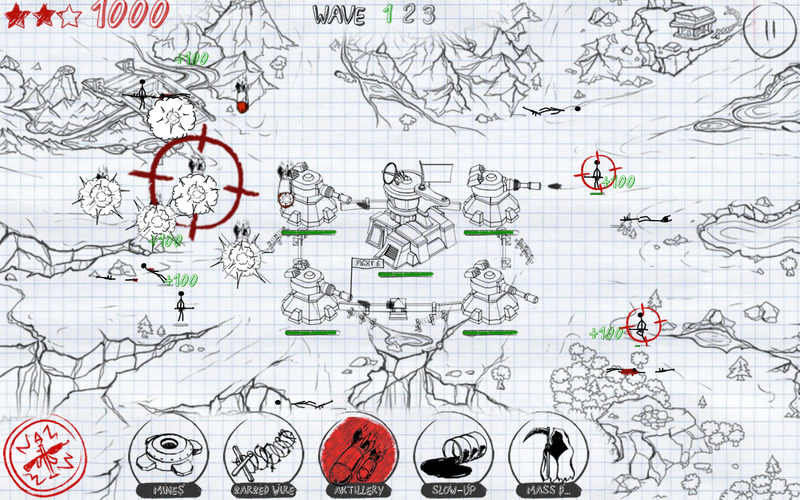 Note Wars is tower defense with 2D graphics inspired by the doodles you drew in Algebra II. That's about it, really - you don't really get to build up your base, because this game swaps building and upgrading for direct control of four cannons at once. 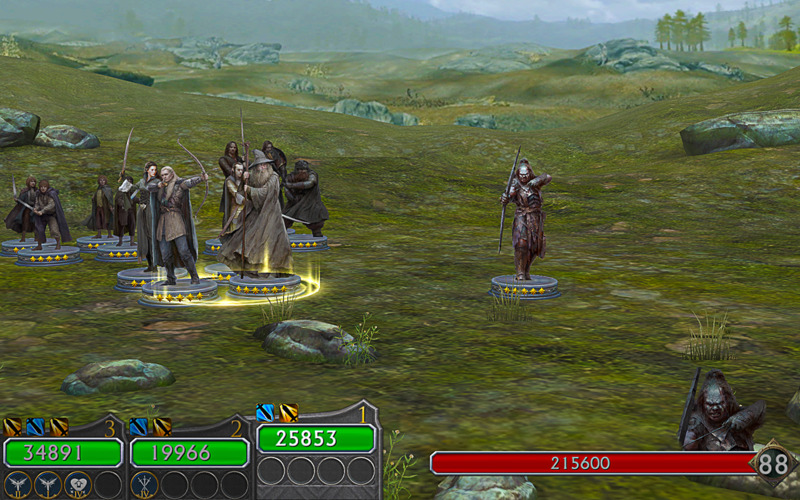 Special attacks will let you slow enemies or kill them en masse. 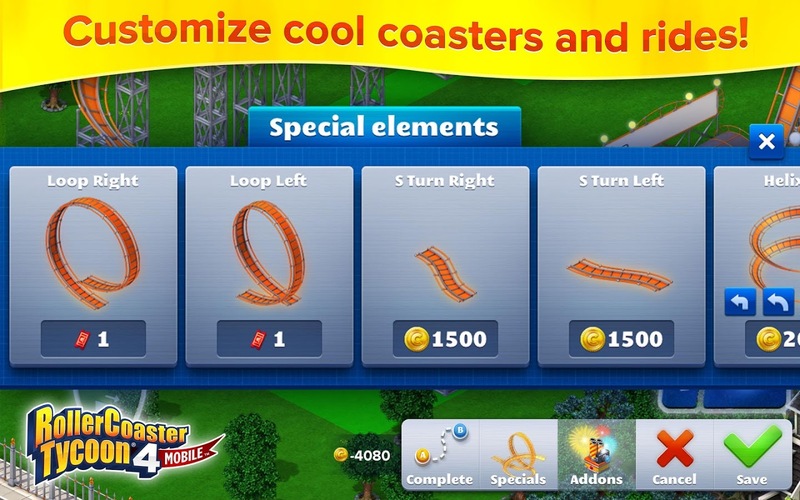 It's a premium game for a reasonable buck fifty, with no in-app purchases. 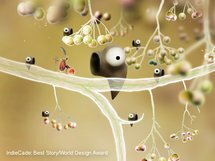 The animation and visual style are appealing, but might get old after a few levels. Gameplay is more important than graphics in this game. 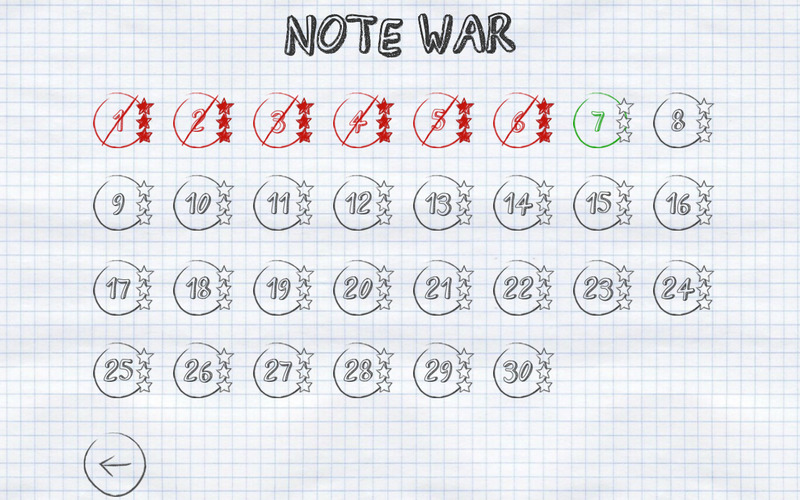 Spectacular battles on notebook sheet. 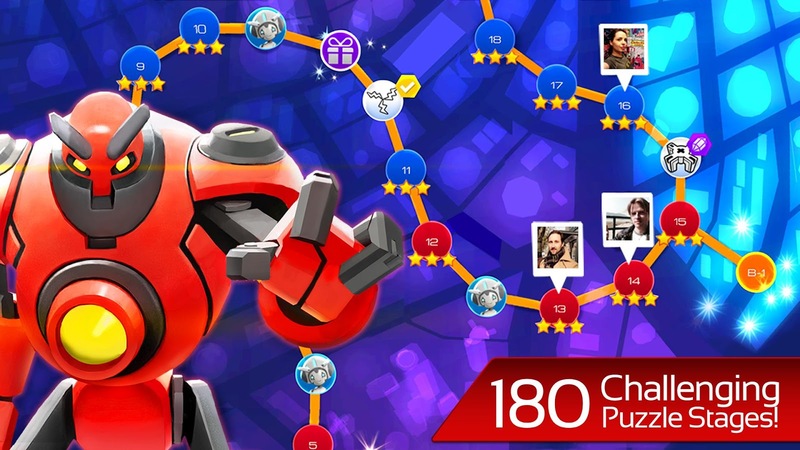 Nothing in excess - use the minimum number of abilities and come up with different level walkthrough tactics to achieve even better results, and collect all stars. 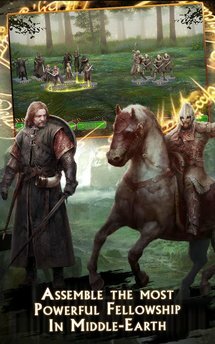 Pass through 30 challenges in opening campaign. 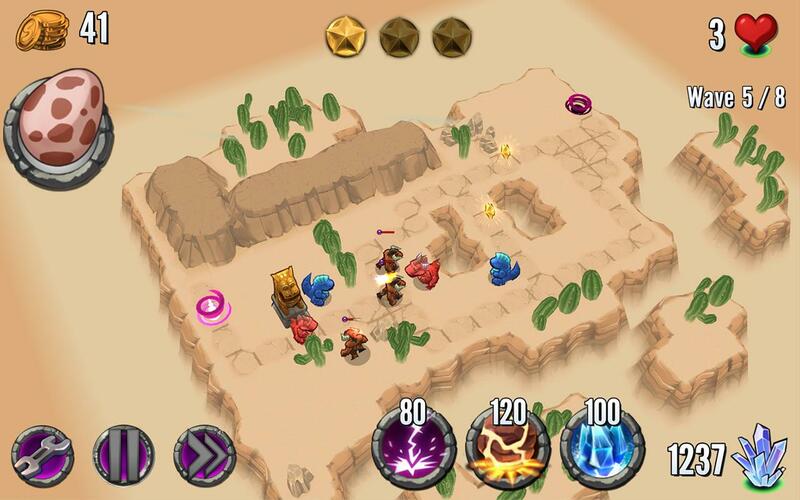 We have prepared 30 challenges for you that will show whether strategist you are. 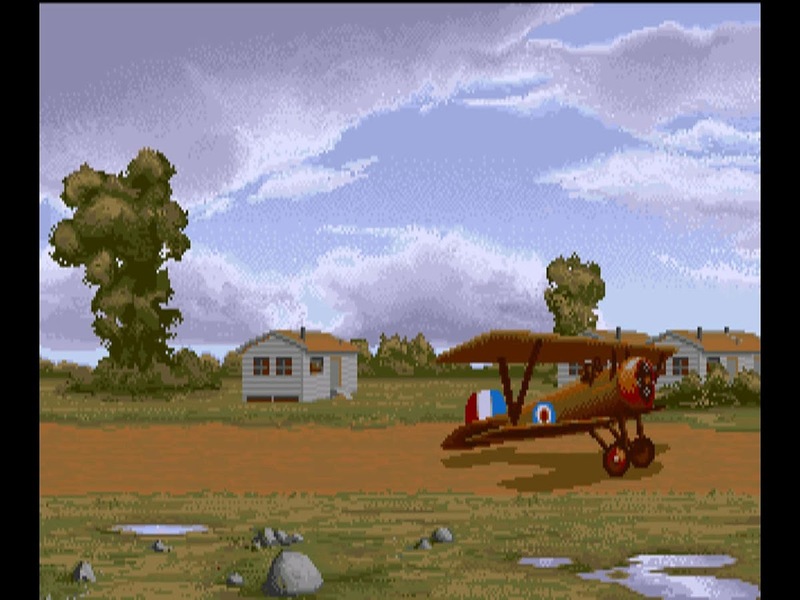 Wings was originally released almost 25 years ago for the Amiga system. 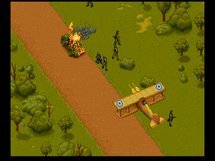 It's meant to be a "cinematic" experience, in so much as that was possible at the time: you play a WWI dogfighter, and the action plays out in a variety of ways. 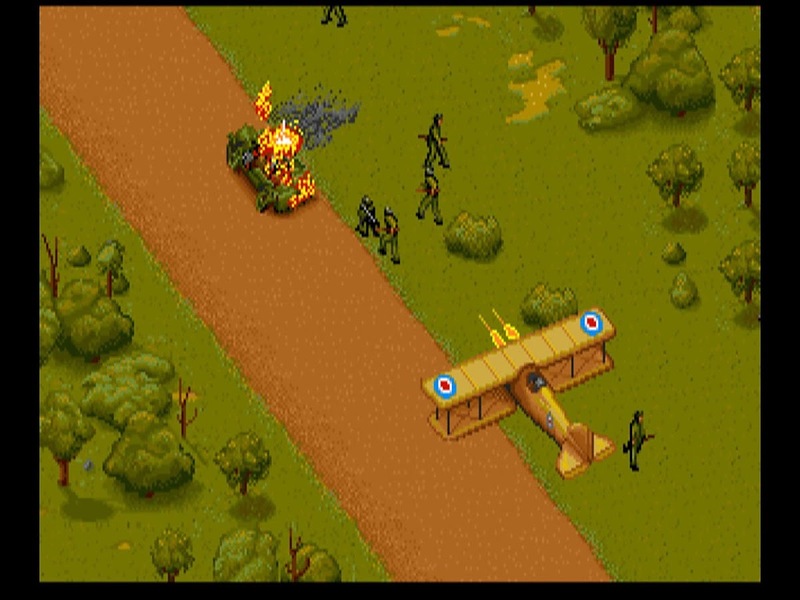 Depending on the mission, you might be in a semi-3D dogfight, a top-down bombing run, or a bullet hell 2D shooter. 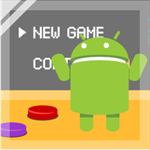 The Android version features touch controls, but there's no mention of gamepad support. Originally released in 1990, Wings. 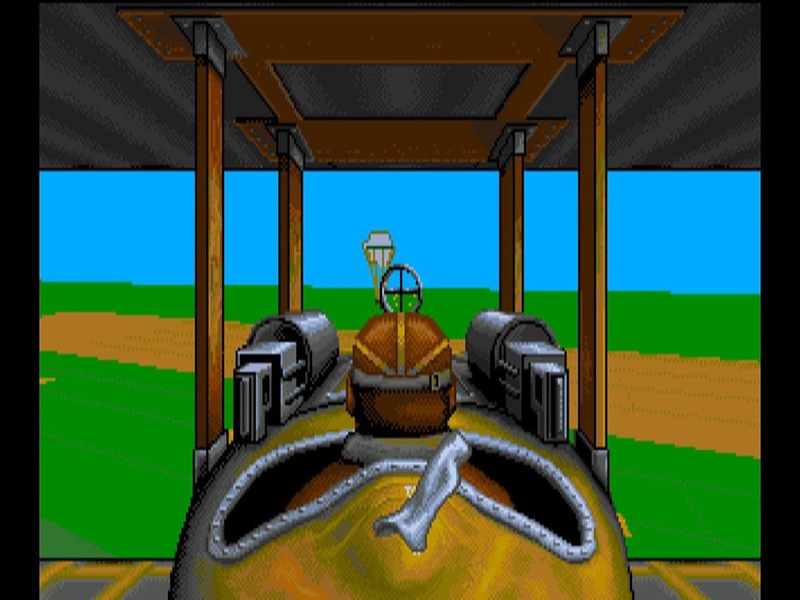 was a breakthrough and memorable game on Amiga. 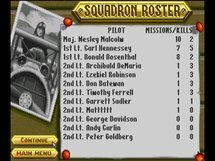 It's World War I and you set out to join the 56th Squadron to fight against Germany. 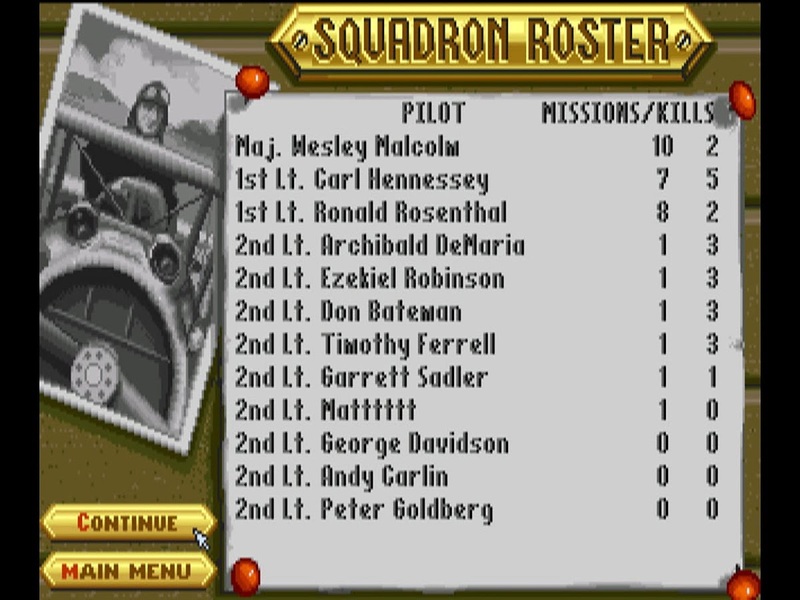 First you must prove to Col. Farrah that you have what it takes, before he trusts you with the squadron's journal. 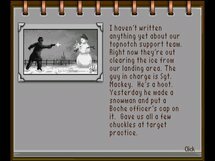 As you progress through missions, trying desperately to keep yourself alive against the Fokker scourge, the journal recounts the horrors and realities of war, whilst also celebrating the victories and progress. 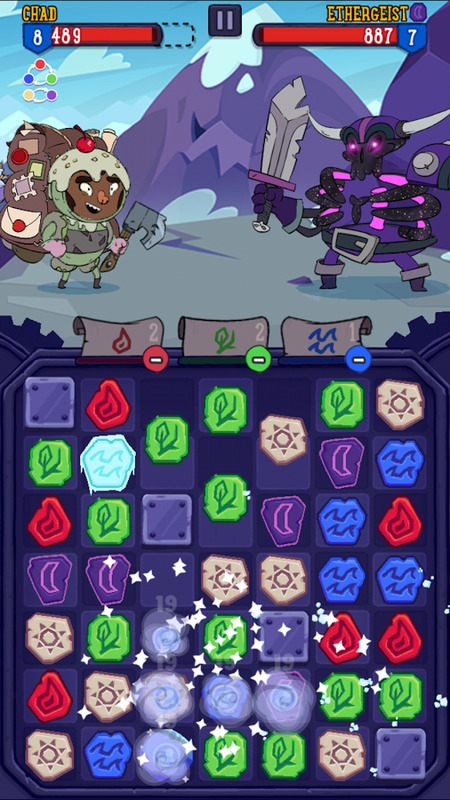 Despite the title, Puzzle to the Center of Earth is equal parts platformer and puzzling. 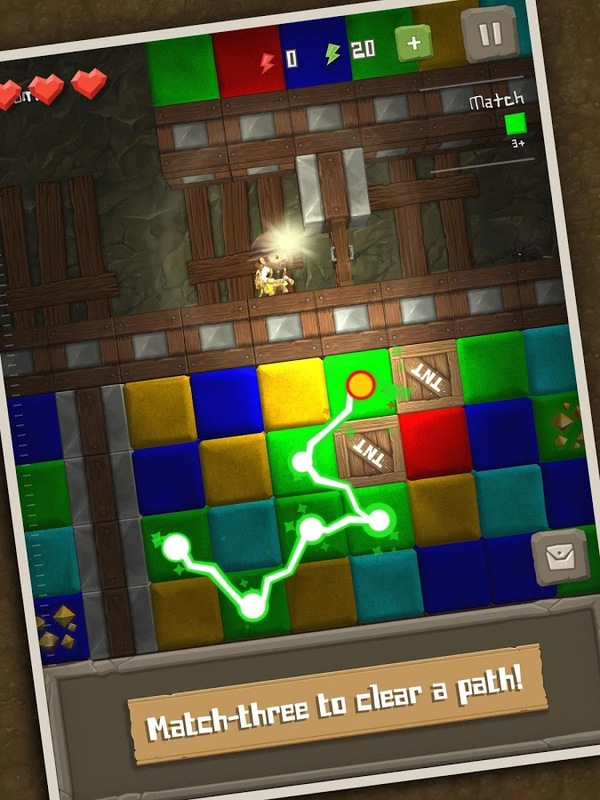 Your plucky character is equipped with a tool that can instantly clear blocks as he or she tunnels down, but only blocks of the same color. 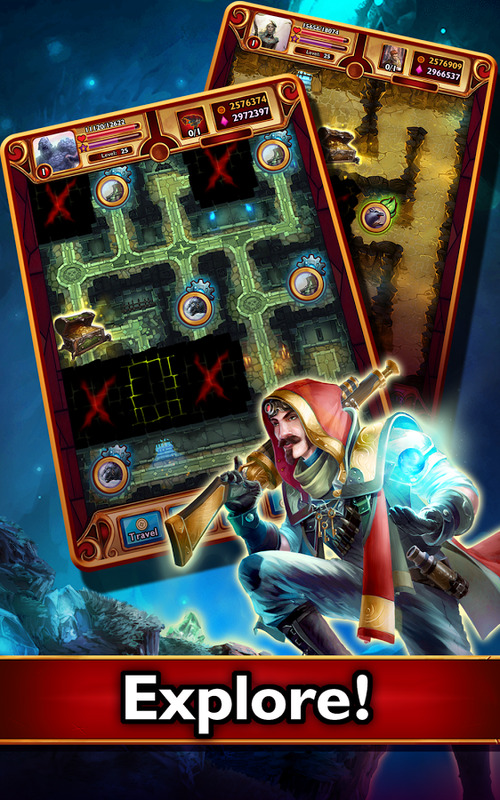 You'll have to use some strategy and upgrades to navigate to the bottom of each level. 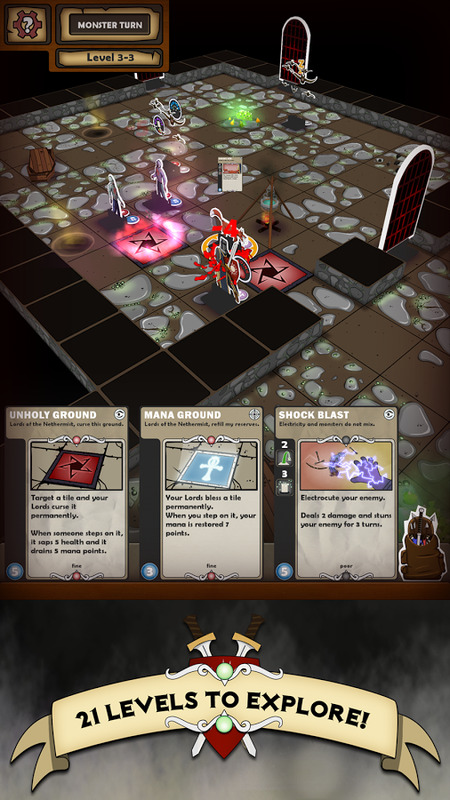 It's an interesting concept, and worth checking out even if you don't like the free-to-play format. 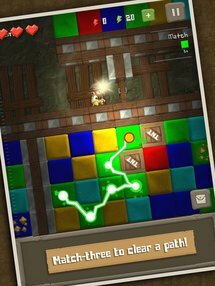 Embark on an epic journey to the center of the Earth in this unique mix of platforming, digging, and match-three puzzling. • Match-three meets platforming in a unique puzzler. 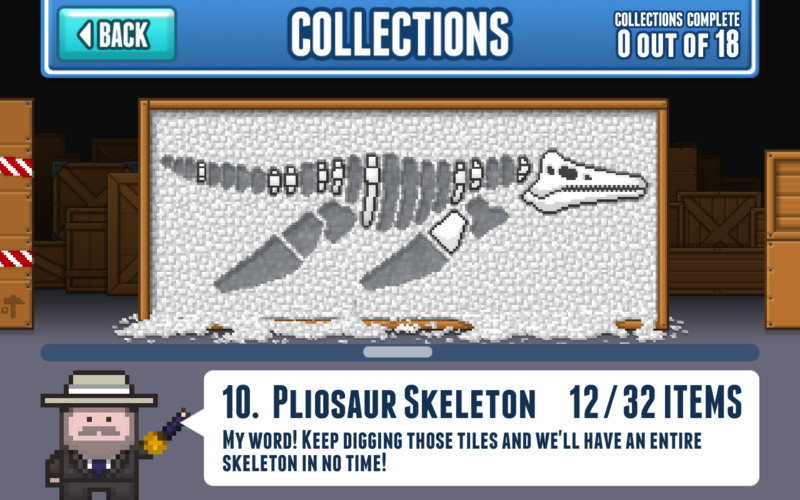 • Explore over 80 levels as you dig your way to the center of the Earth. 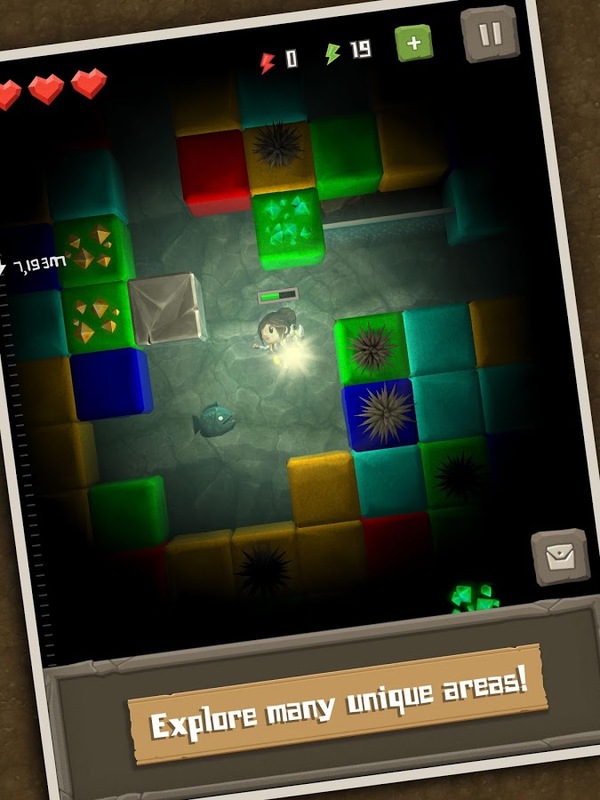 • Solve puzzles, find legendary treasure, and explore a vast underground world. • One-handed gameplay is designed specifically for mobile devices. 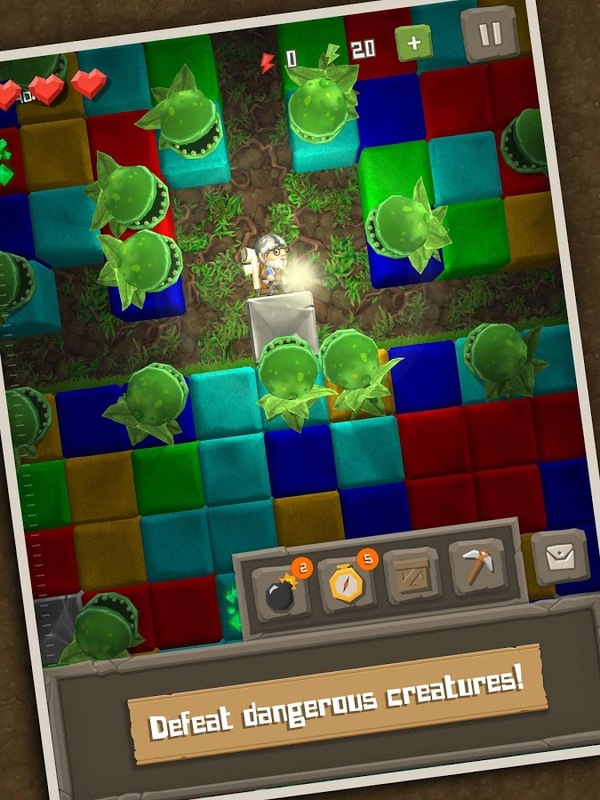 • Overcome creatures, traps, cave-ins, lava, ice, underground oceans, and tons more. 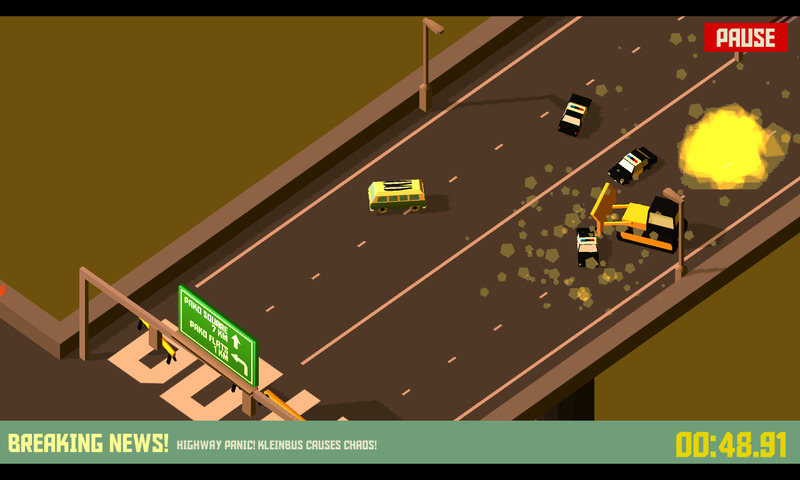 This game is something of a vehicular sandbox. 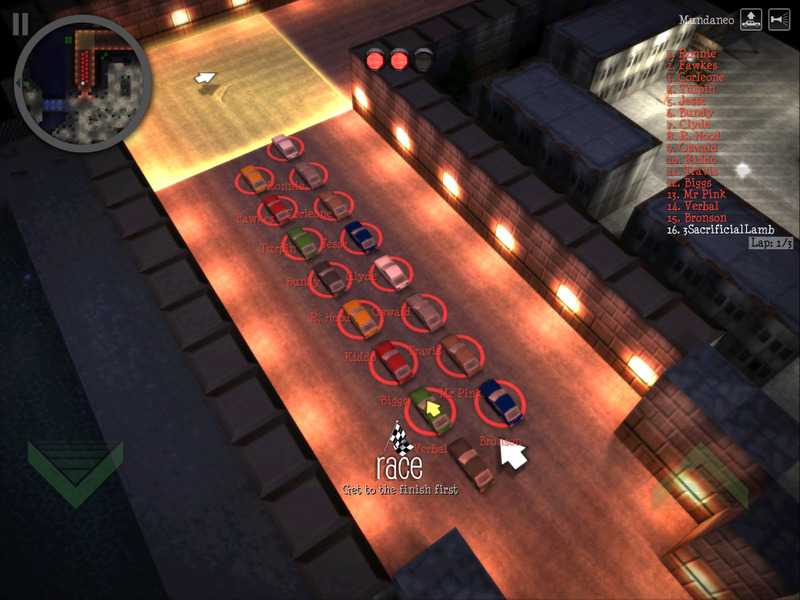 It fits broadly into the "racing" genre, but an impressive mix of event types and styles means that you'll have a lot to explore. There are traditional races, Twisted Metal-style destruction derbies, and even some aerial events. 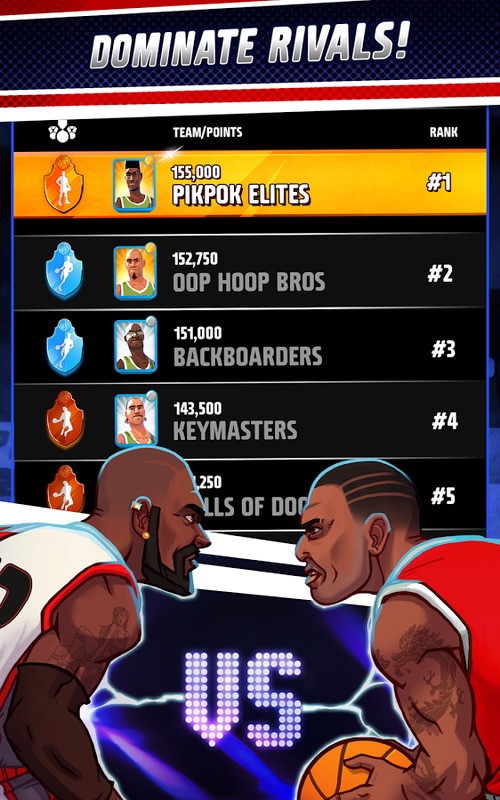 There's a big focus on online multiplayer, but that tends to get a little unbalanced when mixed with a free-to-play design. 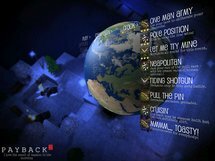 Payback 2 features a Grand Theft Auto-style open world, but allows you quickly select from an almost unlimited number of online and offline events that are all action, all the time. It includes everything from tank battles to high speed helicopter races to huge gang battles - but you really have to try it get a feel for how much variety there is, and we're adding more all the time. Bandai-Namco insists that this game is "card battling like you've never seen before." 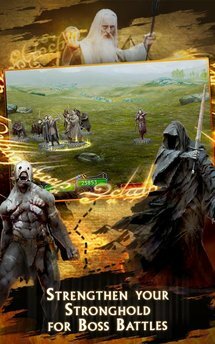 And if you've never seen a game where you collect various monsters and spells to defeat enemies, then they're right... otherwise you can probably skip this one. That said, the card art (a big deal for this genre) is fantastic, and the Pokemon-style evolution system could be interesting for those willing to invest either a time grind or real money on cards. EXPLORE. COLLECT. BATTLE. 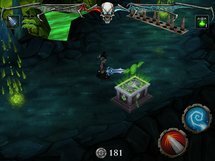 Outcast Odyssey takes the best features from Dungeon Crawlers and RPG's and mixes them with Card Battlers to create a fast-paced, fun-to-play adventure game set in a unique world of monsters, magic and machines. 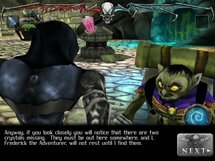 The game’s innovative controls are simple to play, offer layers of depth, and spectacular visual effects. 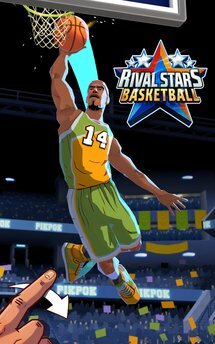 This is a basketball game from the same people who made the Flick Kick series, and it's about what you'd expect: various simple minigames approximate parts of basketball, the whole creating complete "games" that never require much more than a single tap at a time. It's certainly stylish, though the lack of an NBA license means it will be overlooked by some. 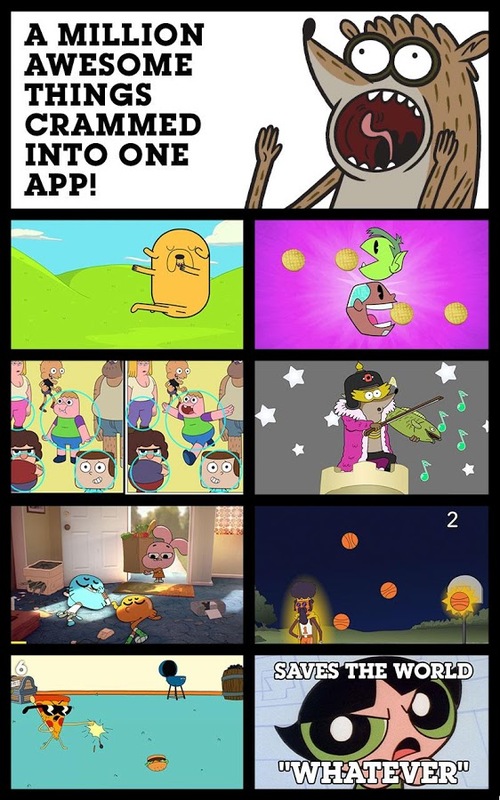 In-app purchases abound. Welcome to the game that Basketball fans have been waiting for. 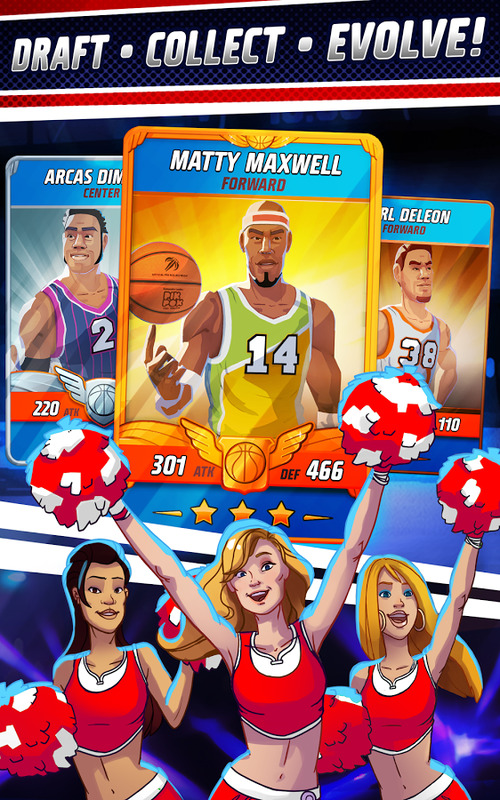 You will be the one who brings together a collection of star players and leads them to the pantheon of legends. Draft tremendous athletes and use their skills to leave your rivals in the dust. Make thrilling clutch plays with a swipe of your finger. Slam the decisive dunk home and leave their jaws on the floor. You are the inspiration. Deathbat is a high-profile game with a mobilized take on the traditional dungeon crawler. But it doesn't seem to do too much that's unique, beyond a somewhat droll approach to the genre. The world and characters are allegedly based on the music of something called Avenged Sevenfold, which is a bit outside my musical repertoire. The $5 title includes in-app purchases, which will turn some gamers off. 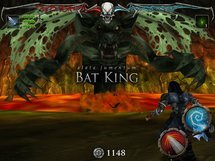 From the minds of Avenged Sevenfold comes Hail to the King: Deathbat. 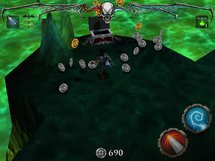 Deathbat is a 3rd person, overhead dungeon crawler action RPG in the vein of The Legend of Zelda, Gauntlet Legends, and Diablo. 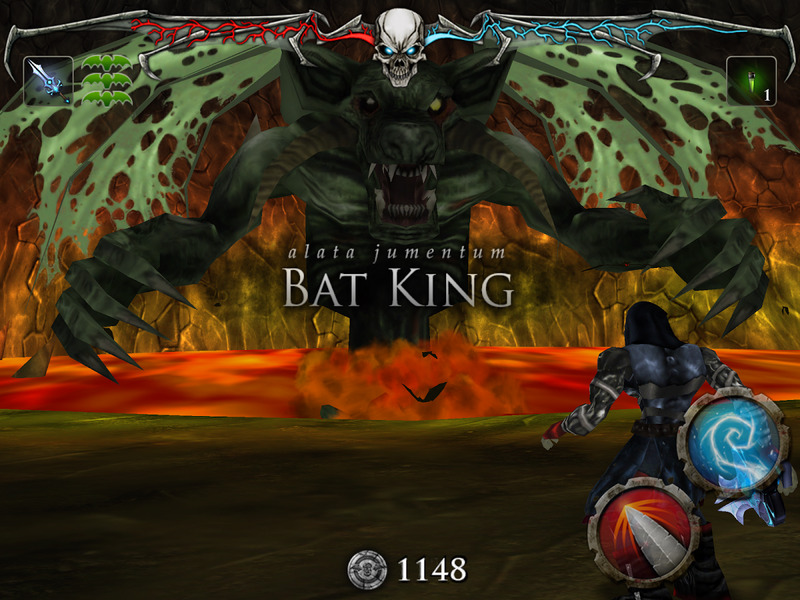 The game’s story is based on the mythical origin of the Deathbat, Avenged Sevenfold’s logo and mascot. 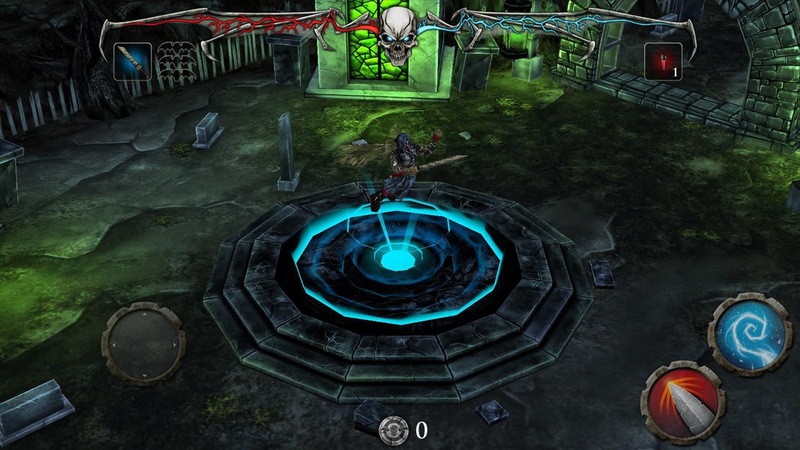 The game’s design is not for the faint of heart as players will need to traverse massive levels, combat skillful undead, and best unforgiving bosses. Developer: Avenged Sevenfold Touring, Inc. 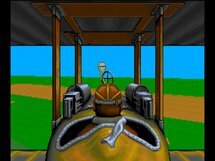 Question: if Air Force drone pilots are essentially playing the world's most complex simulator, albeit with real life repercussions, then what difference does it make in a video game if you're "piloting" a plane or a robot? 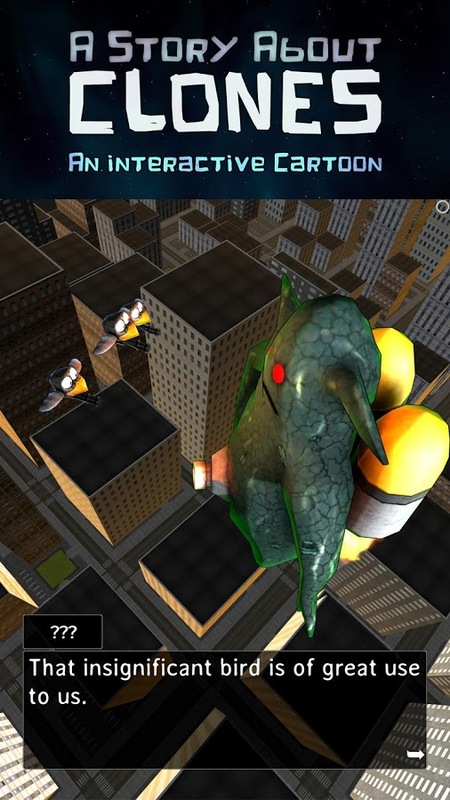 Thought experiment over: this is a video game about flying drones. It's essentially the same as the various iBomber sequels and wannabes... but with drones. 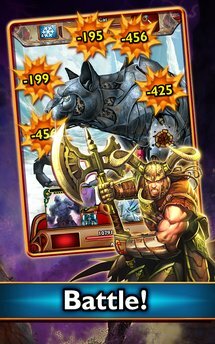 It's decent free-to-play fun, with the in-app purchases that that implies, though I have to say that I find the semi-real presentation somewhat distasteful. 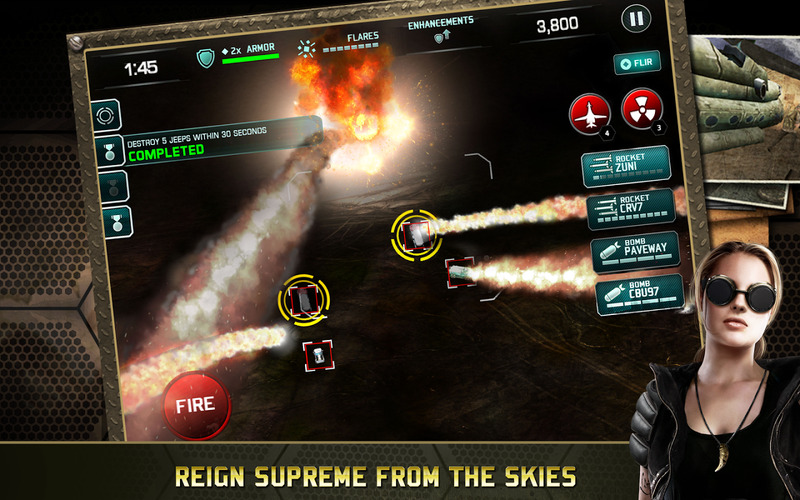 Drone Shadow Strike is the most epic military warfare game that offers an addictive mixture of strategy, fast-paced combat and real action. 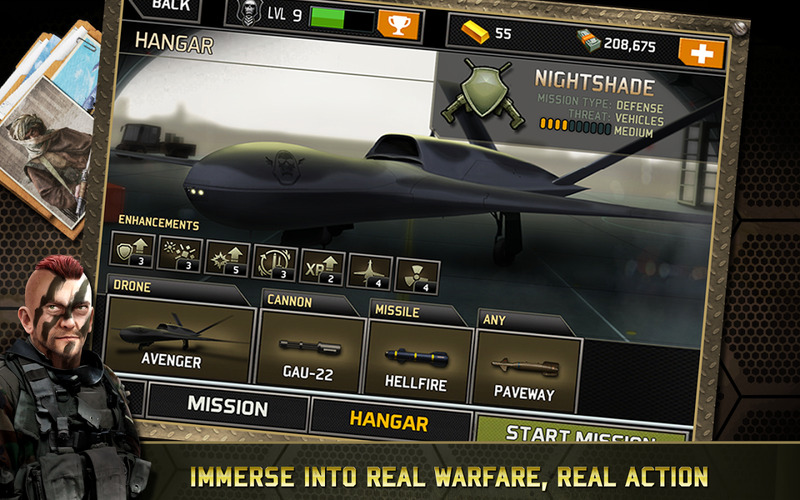 Operate the world’s best UCAVs with an arsenal of weapons and bring the rain. 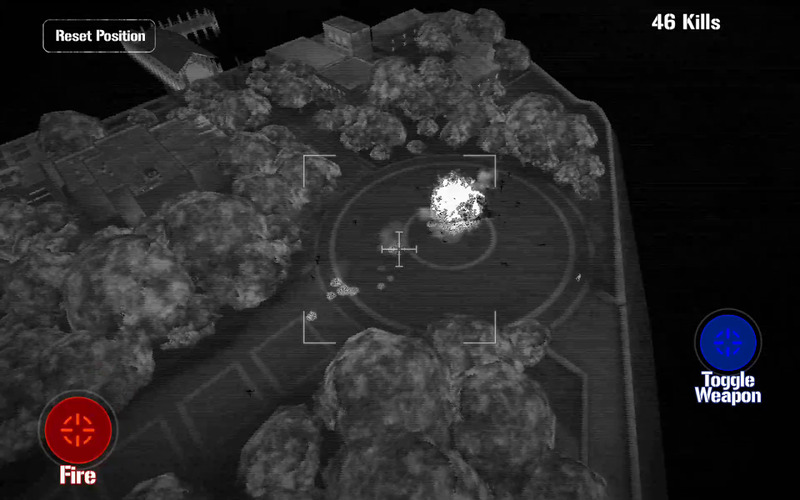 Set in the heart of covert aerial warfare, with real world inspired immersive environments and the original FLIR (Forward looking Infrared) camera, the game puts you in the hot seat of a special ops operator. Fellice is a super-simple game inspired by single-cell life forms. Eat anything smaller than you, run away from anything bigger. That's about it, but the black and white graphics are charming enough to make it worth a try. EAT EAT EAT AND GROW . 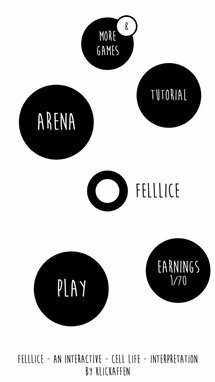 Felllice is an interpretative simulation game of a cell life. 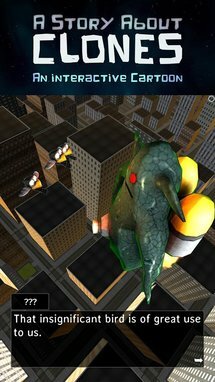 Play as a cell and try to eat other cells to grown up. But beware of the larger cells or they will hurl you and reduce you to your starting size. Try to accumulate tiny cells to become the larger one. Felllice follows three simple rules: Move, eat smaller cells, and avoid larger cells. Just Dance 2015 is UbiSoft's well-received dance-themed party game that uses a camera (like the Xbox's Kinect) to let you try out real dance moves. 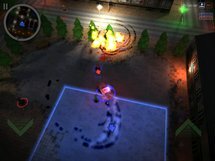 This app is for consoles or PCs that don't have a built-in camera, allowing a smartphone to detect motion and act as a controller. 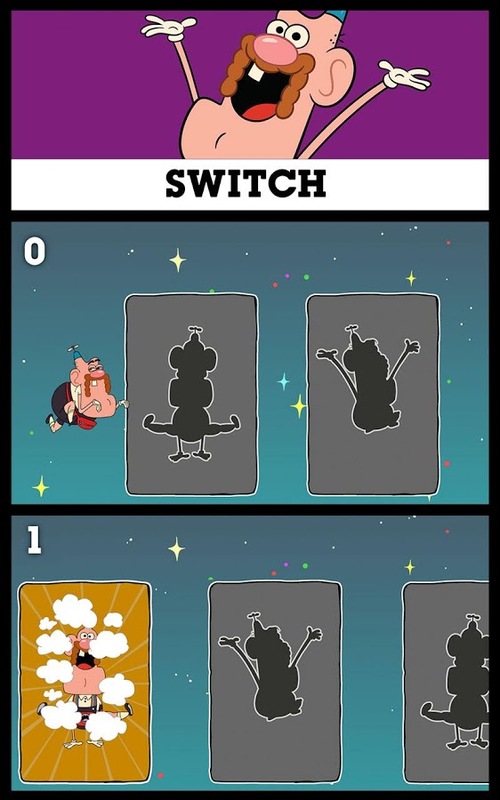 Naturally you need the full game to play. 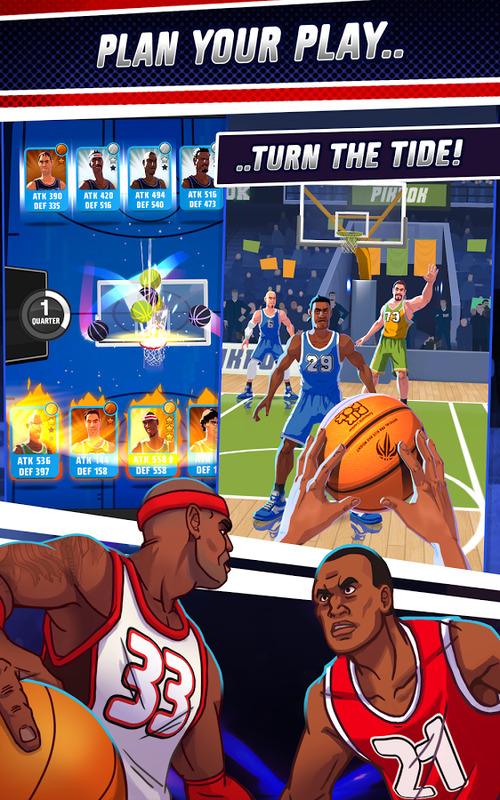 If you don't want to buy the full game, check out the mobile-web version, also available on Android. 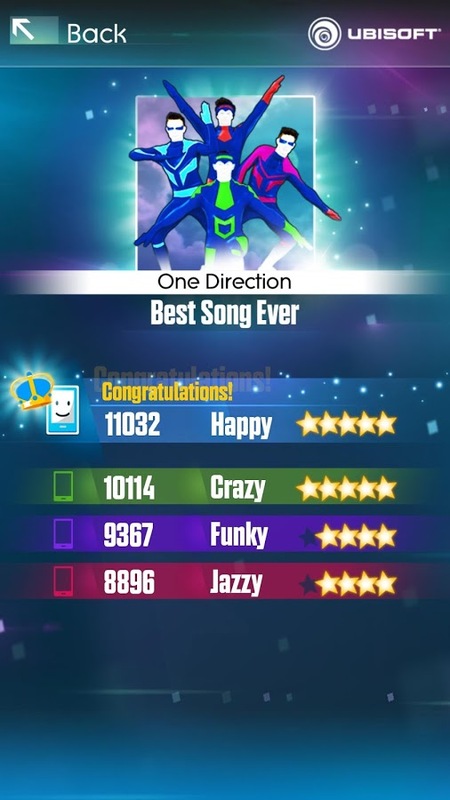 Dance and score on Just Dance 2015, using your smartphone as a controller. You don’t need a camera anymore. Install the app on your smartphone, launch Just Dance 2015 on your console, link it to the Just Dance 2015 motion controller app and dance and score with your smartphone. 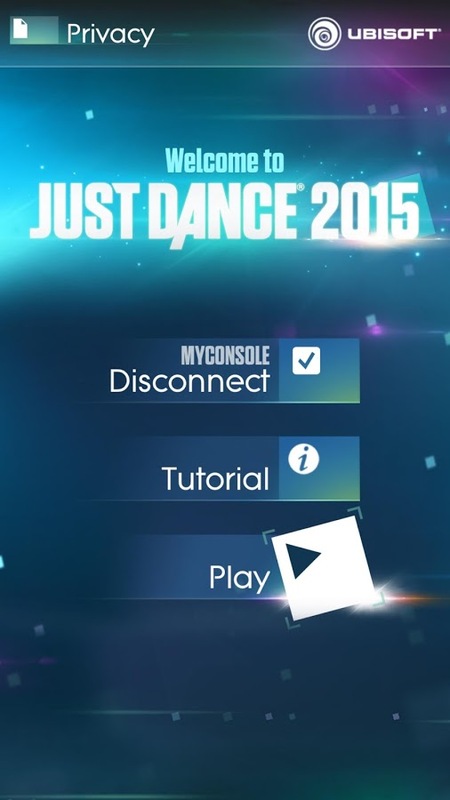 You can now play on the coolest Just Dance game, Just Dance 2015, with your smartphone. 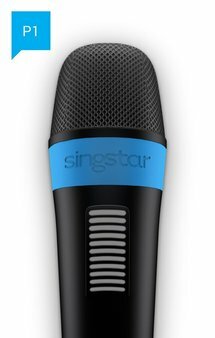 Don't have a spare SingStar microphone for your PlayStation when your friends come over for a session? 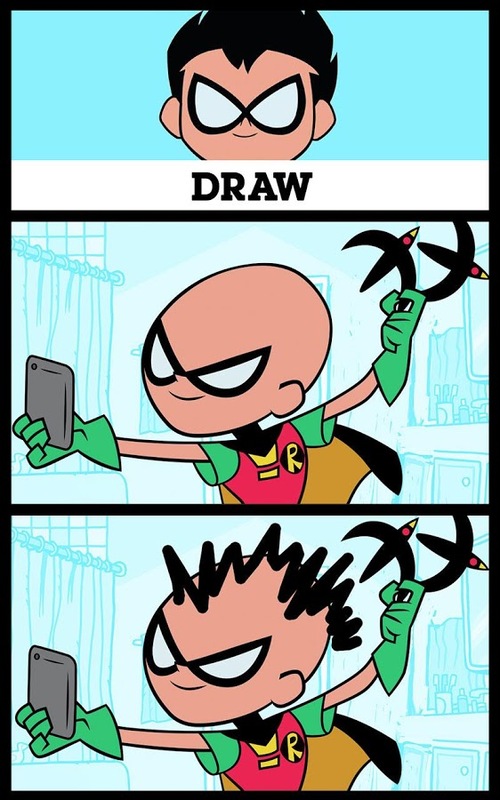 No big deal, just use your phone. 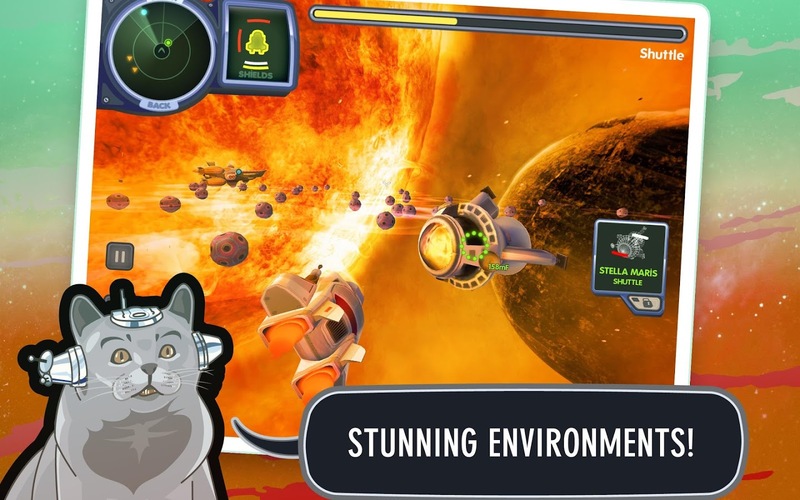 The app is free, but you'll need the game and a Wi-Fi network to use it. 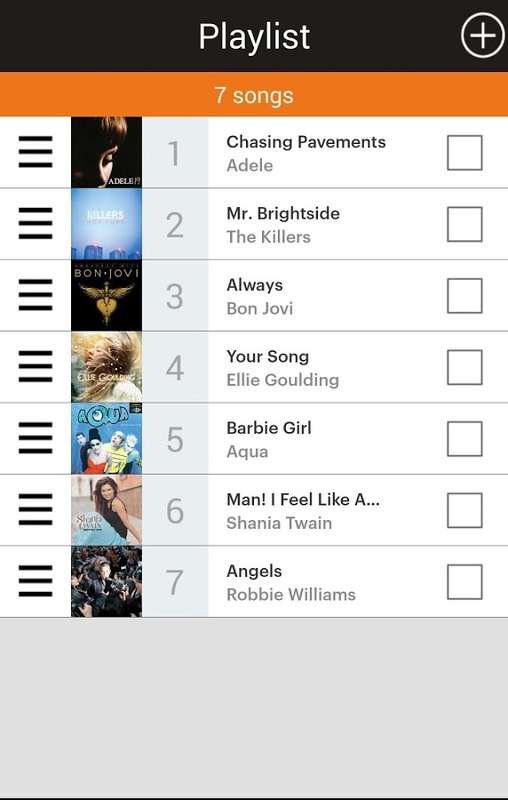 This app acts only as a microphone and a playlist creator. To use this app, you will need a PS3™ or PS4™ system with SingStar™ installed and connected to the same WiFi network as your compatible Android™ device. 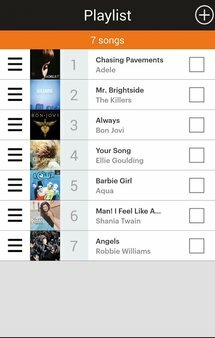 Transform your Android™ device into your very own personal wireless microphone and playlist creator. Use the SingStar™ Mic app to play SingStar™ on your PS3™ or PS4™ system. Project Tango is a strange piece of custom-built hardware from Google that can "see" spaces around it, making for all kinds of interesting applications for mapping or motion studies. Ooooor for a top-down bomber game like this. 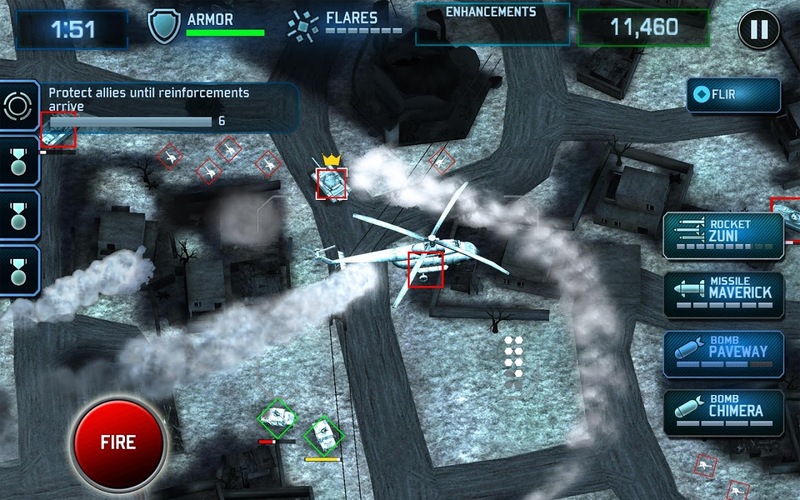 Zombie Gunship Reality has some interesting gameplay to show off, but unfortunately there's no consumer hardware that can actually use it, at least at the moment. As featured at Google I/O 2014. 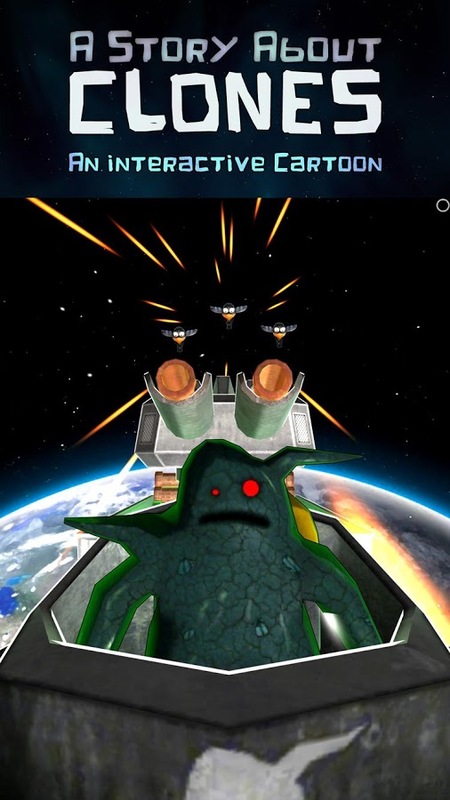 The ultimate Google Tango game experience. 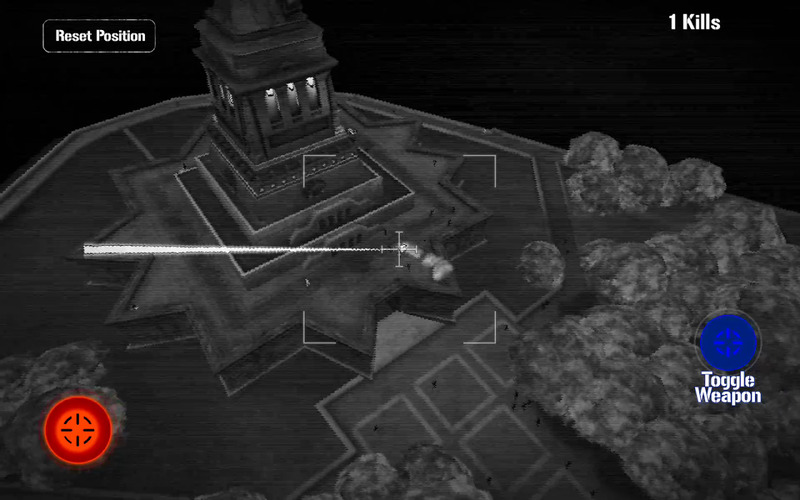 Your tablet is the gunship, and it's up to you to move around the room, killing zombies on Liberty Island. 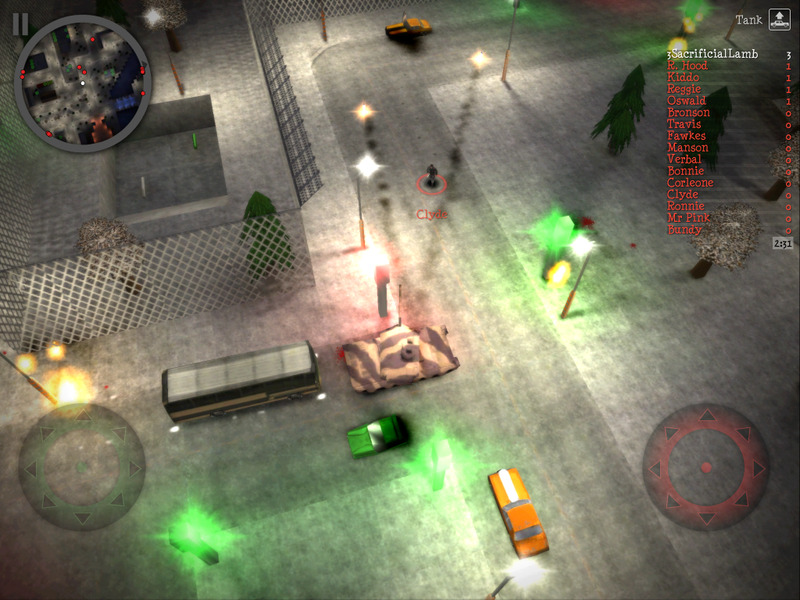 Fire three guns at Zombies and see them blown to pieces with incredible explosions. 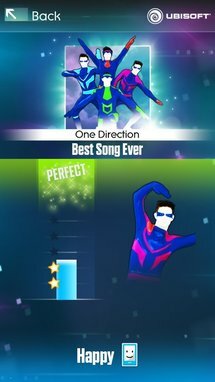 Compete for the highest score. 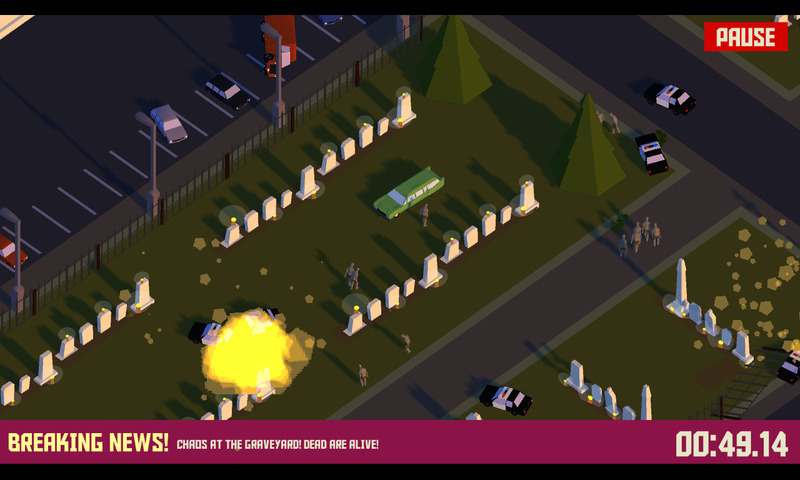 Can you kill more Zombies than everyone else? 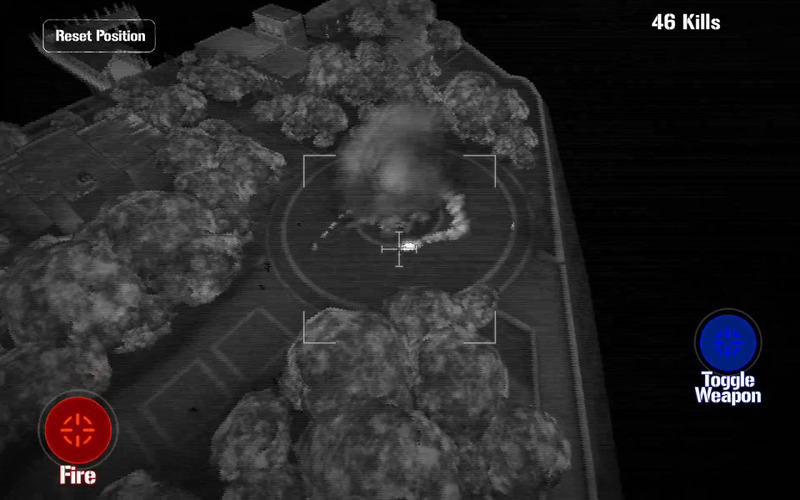 Please note, Zombie Gunship Reality requires a Google Tango device. 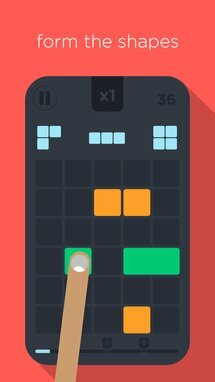 This is not a Flappy Bird Clone. 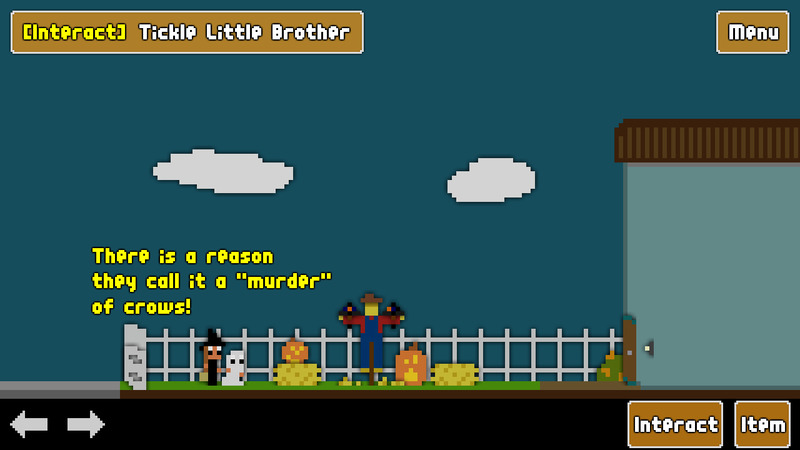 It's more of a pastiche of mobile gaming in general, with an absurdist story tacked on for good measure. But there are birds, and they do flap. 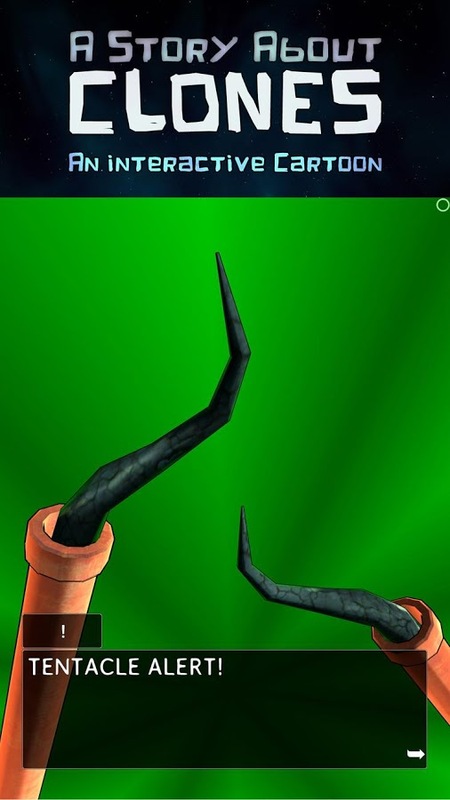 There are also tentacles. Yeah, I have no idea. 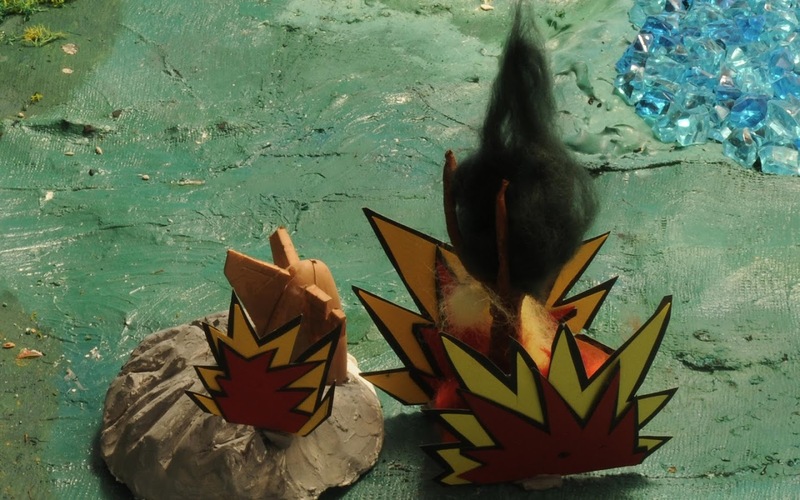 'Urban Bird Flip – A Story About Clones' is like an interactive episode of your favorite cartoon series. A story that deals with the absurdity of the Flappy Bird hype mixed up with pop-cultural references, social criticism, arcade gameplay and unique ways of interaction. 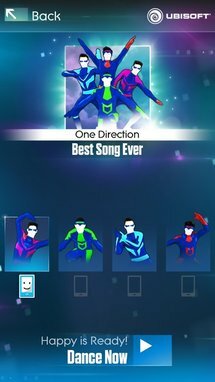 It's funny at different levels and has an original soundtrack. 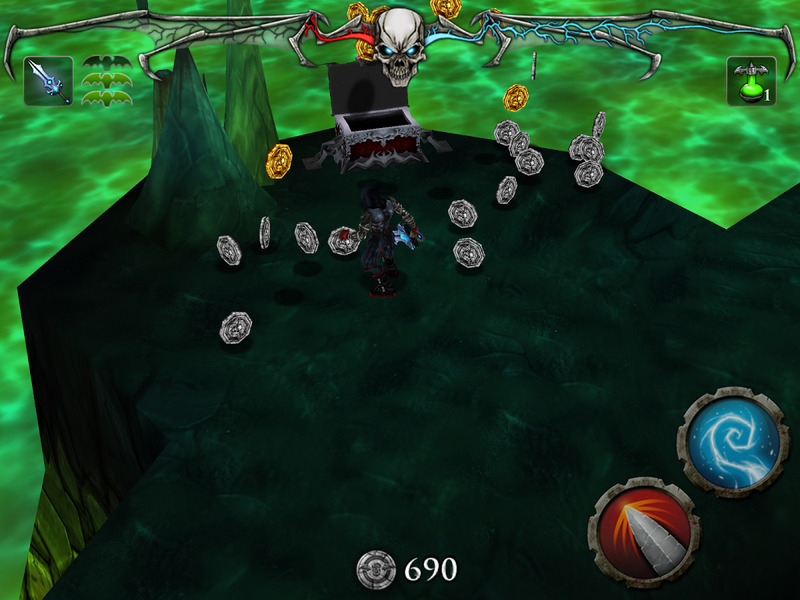 Oh, and it has 3D graphics. BAM.